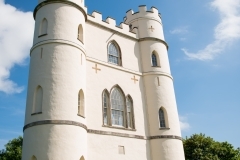 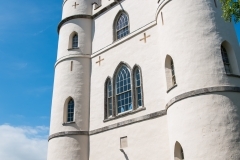 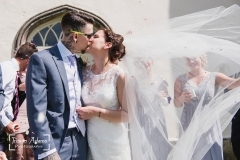 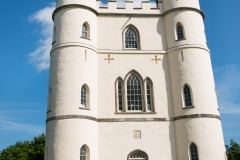 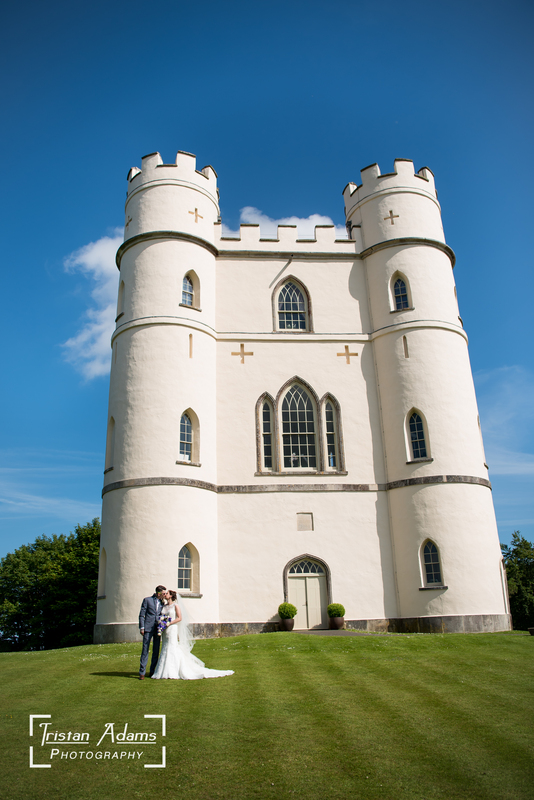 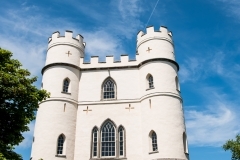 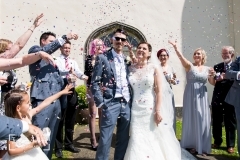 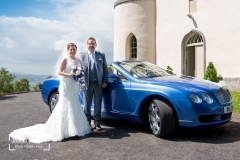 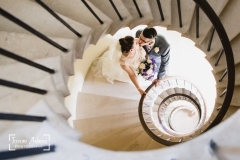 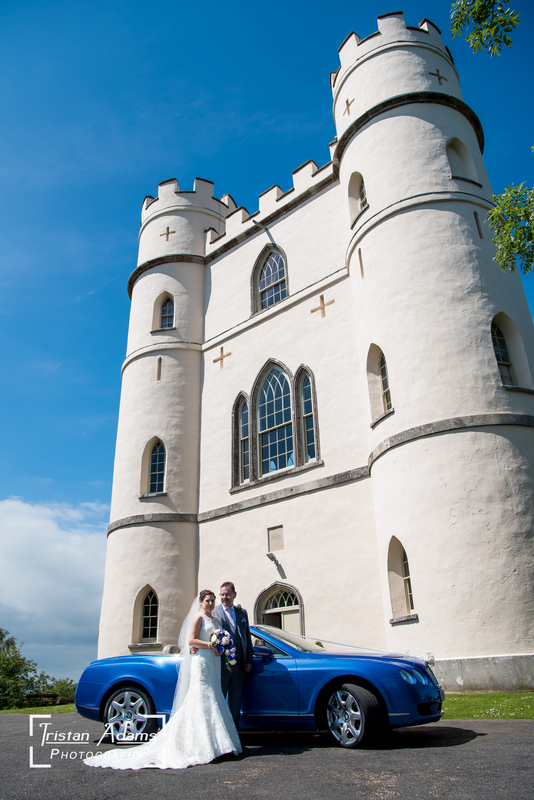 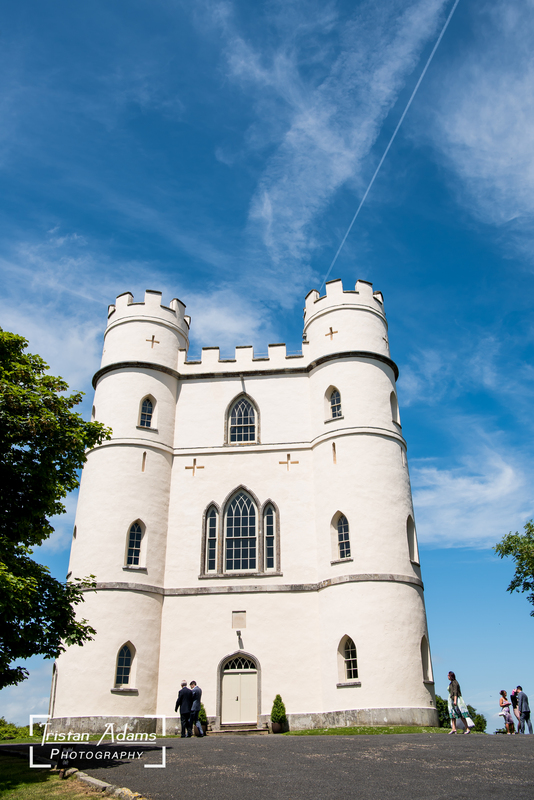 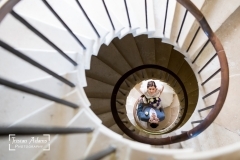 The Haldon Belvedere is a beautiful castle wedding venue situated on the highest hill at Haldon Forest near Exeter. 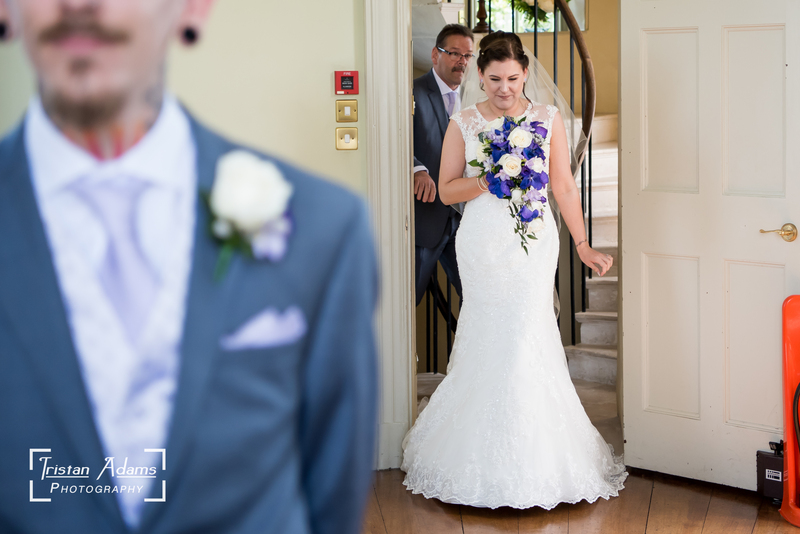 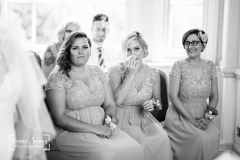 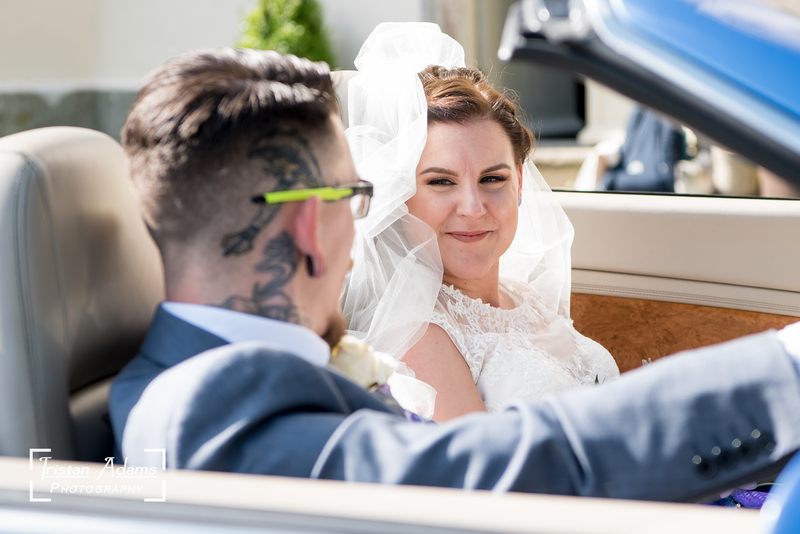 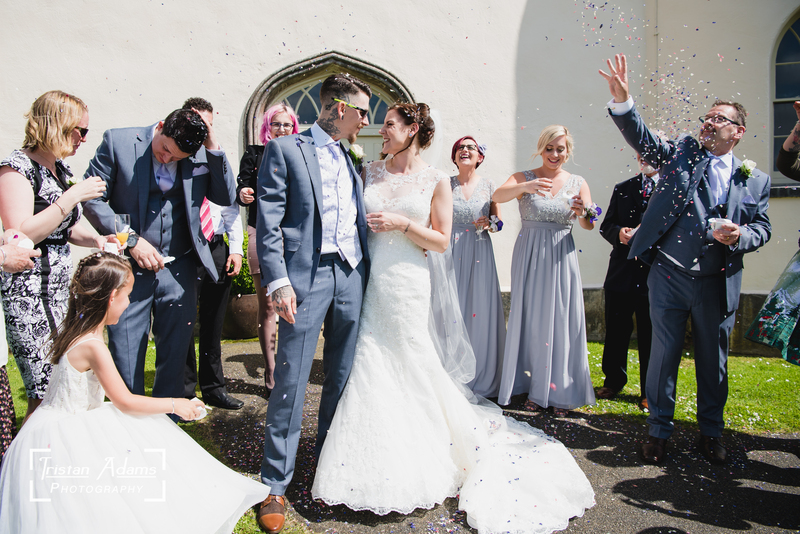 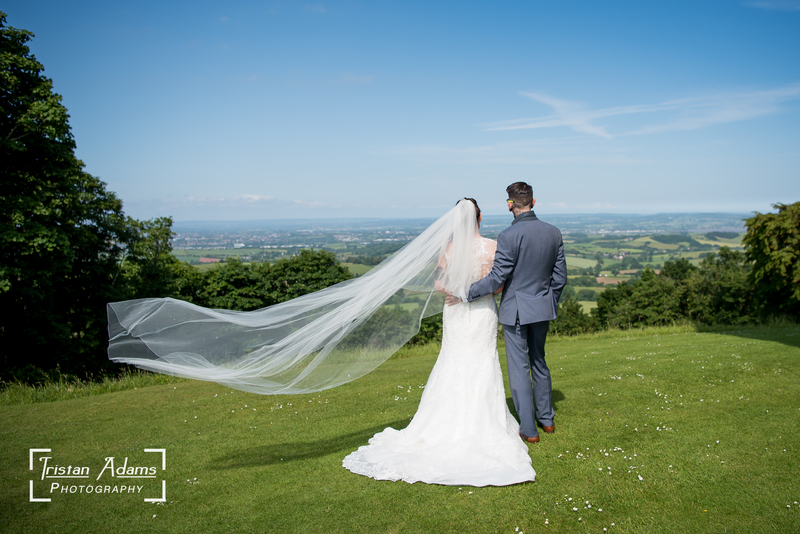 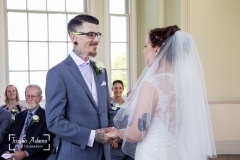 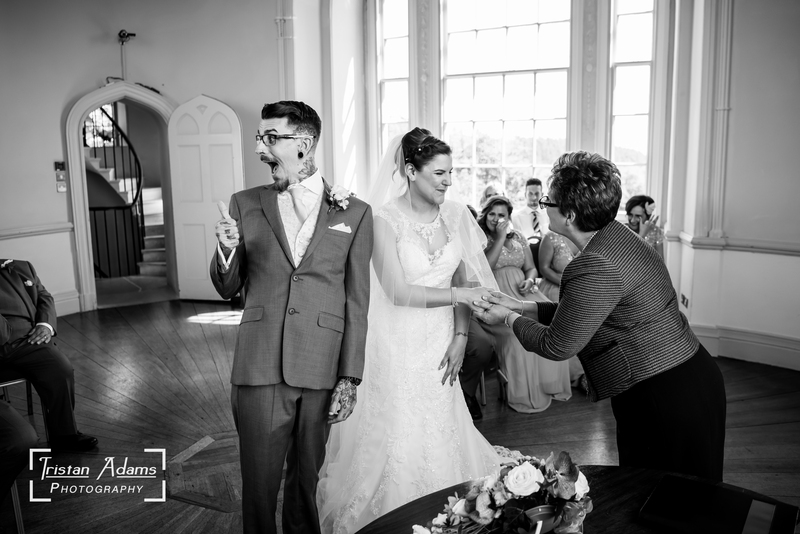 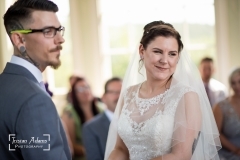 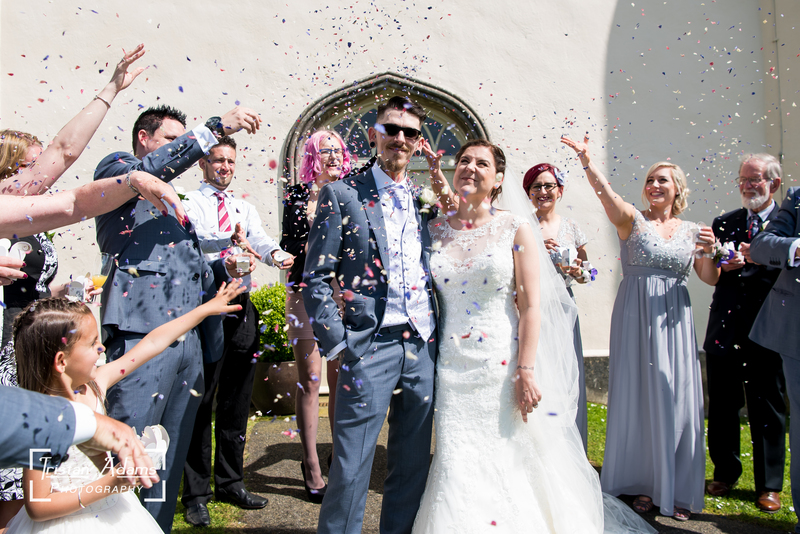 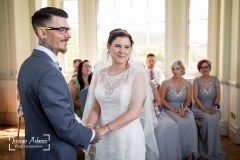 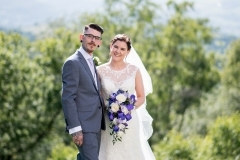 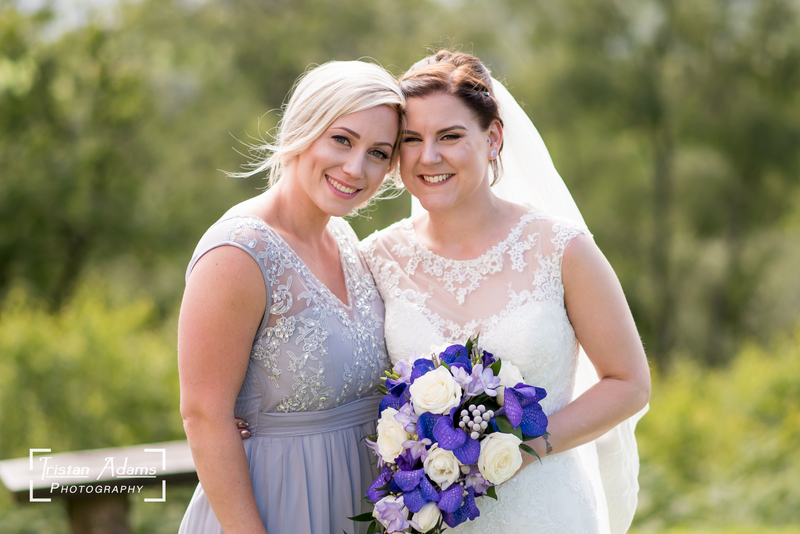 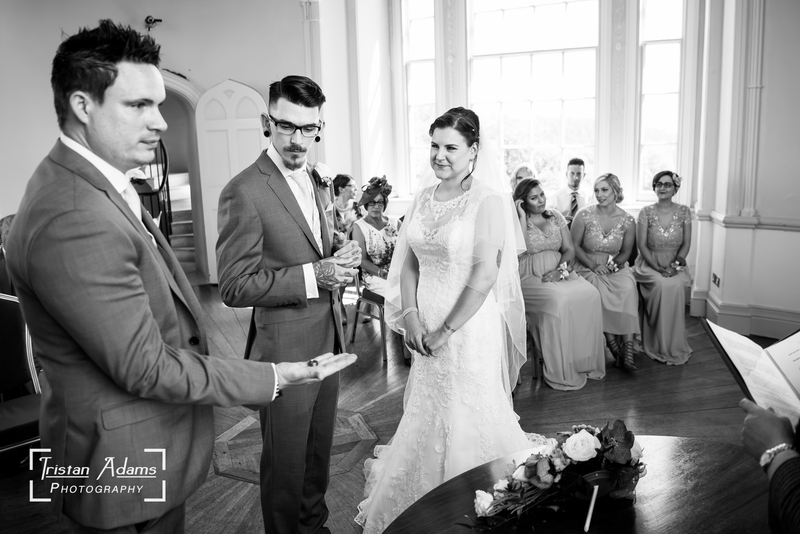 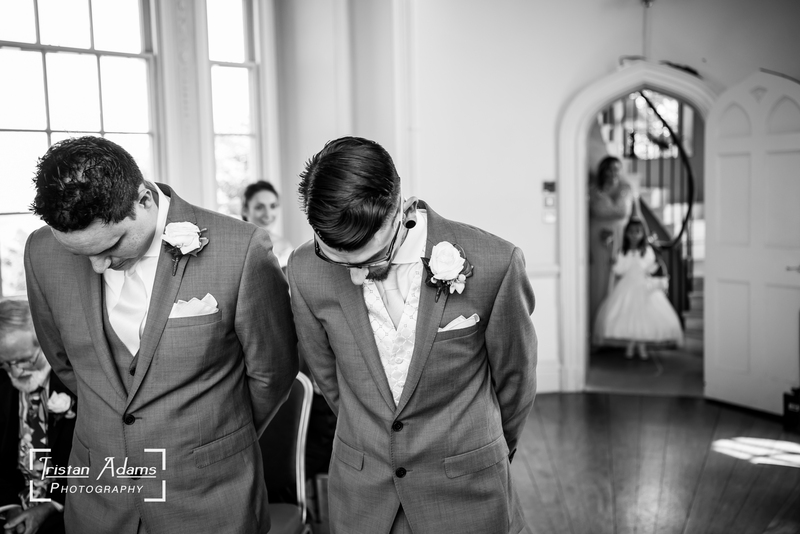 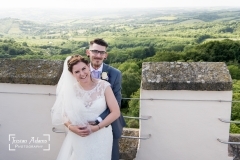 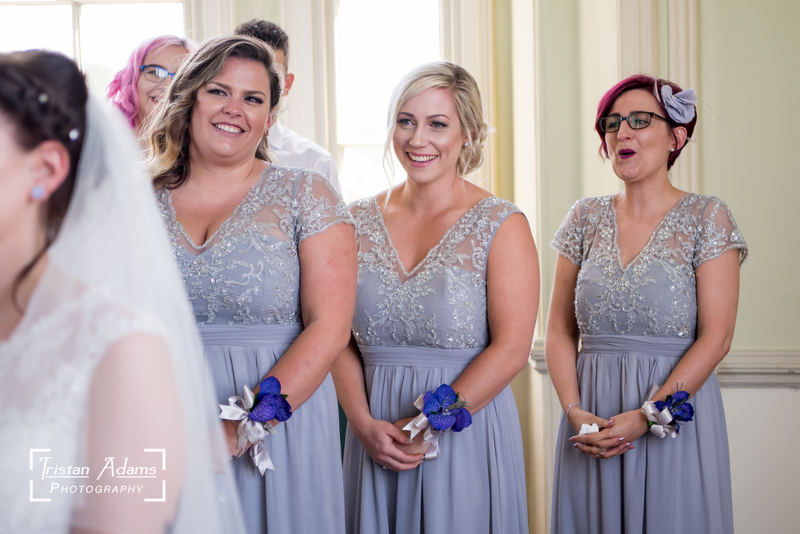 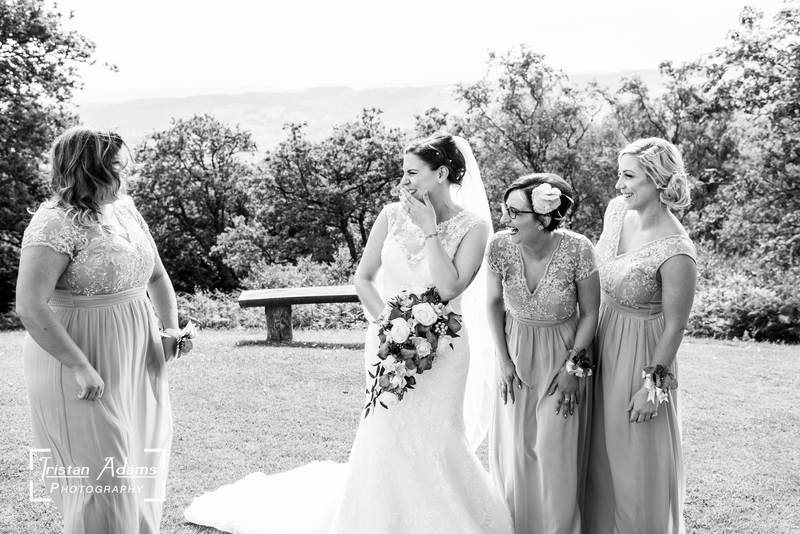 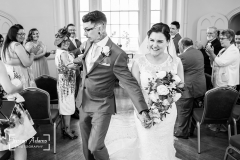 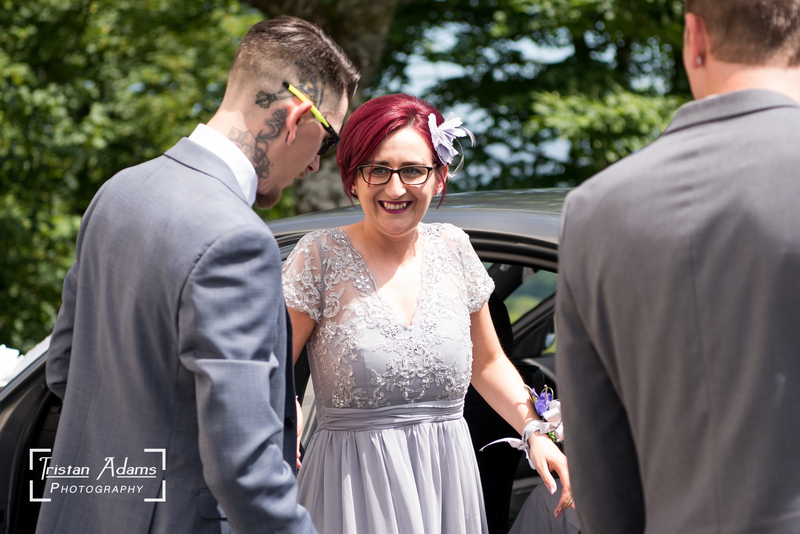 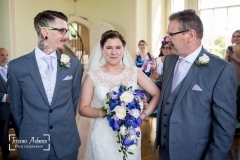 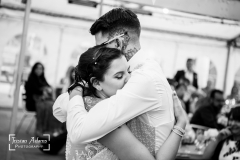 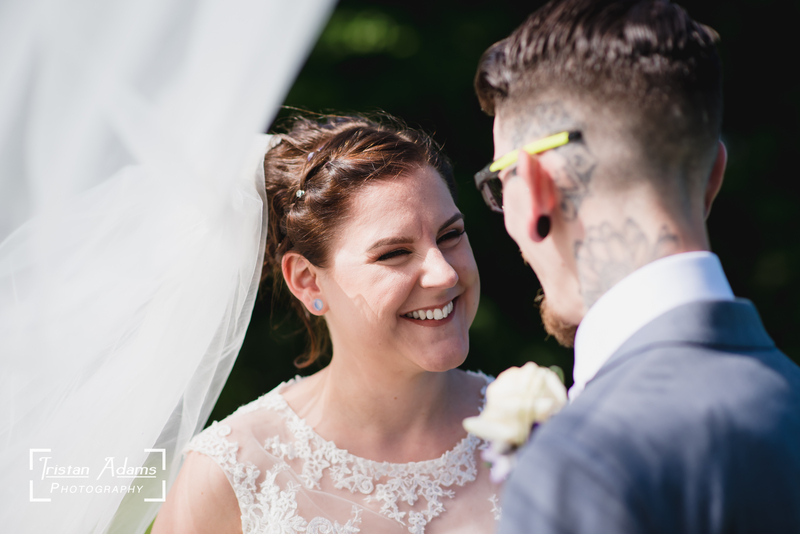 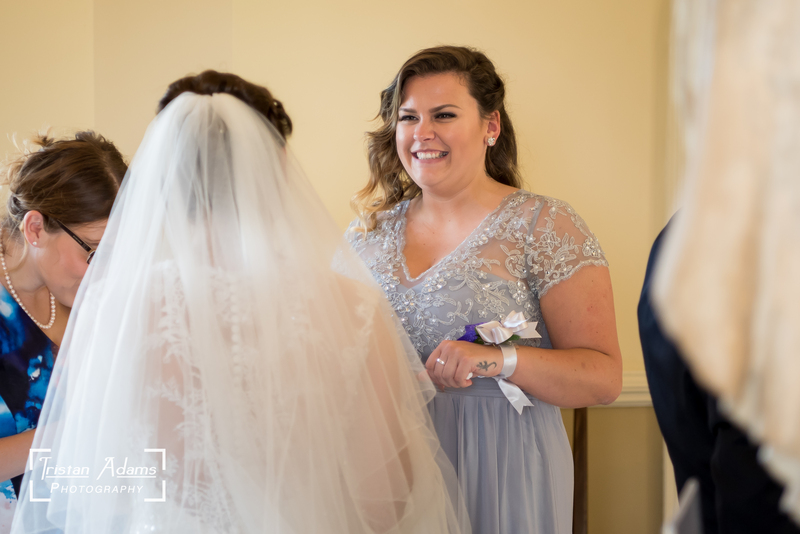 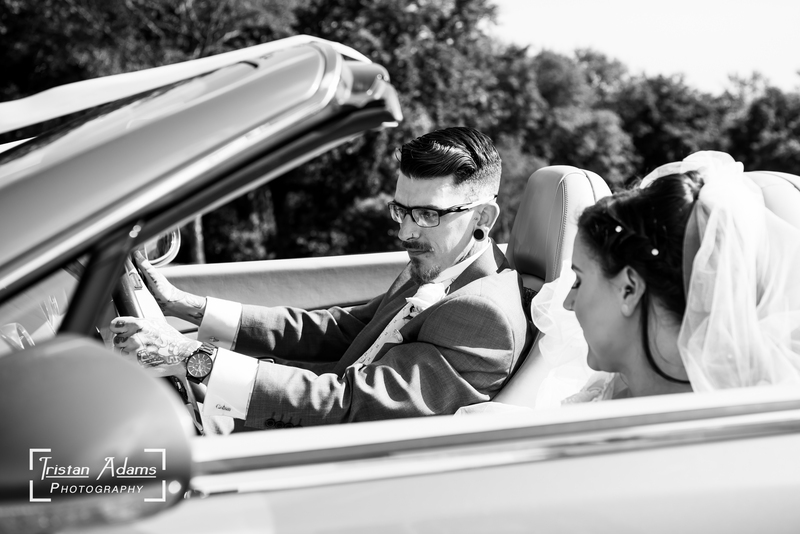 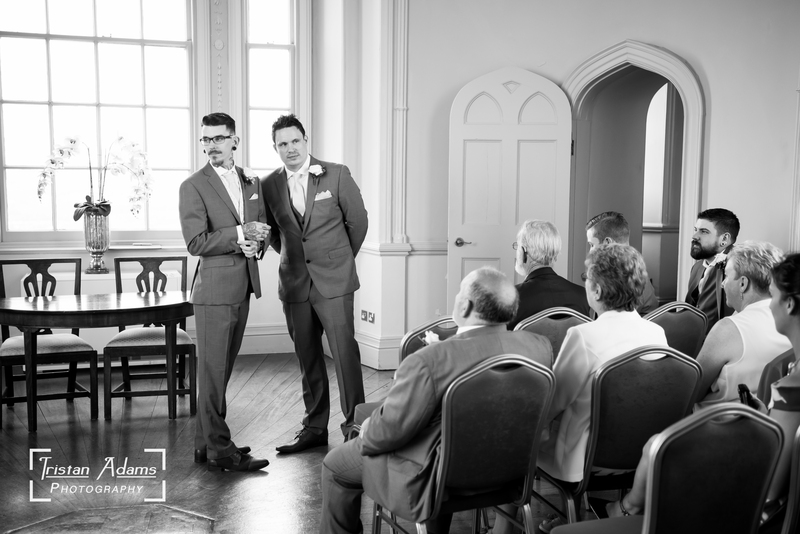 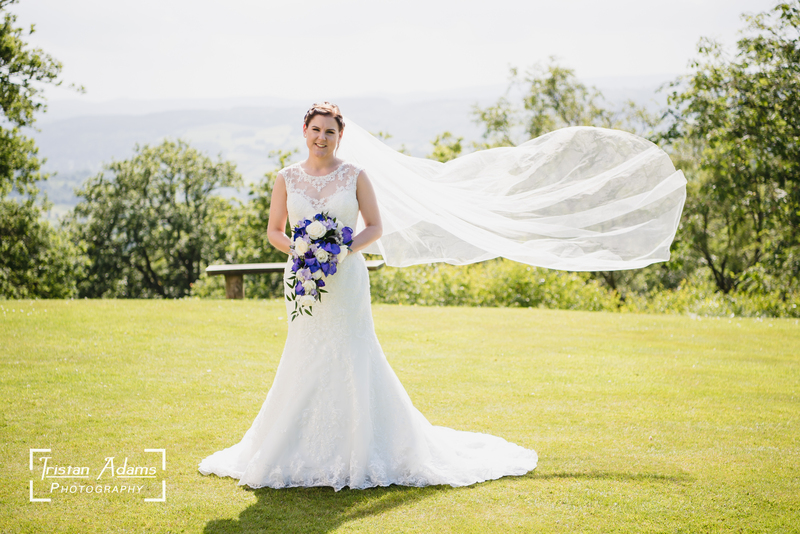 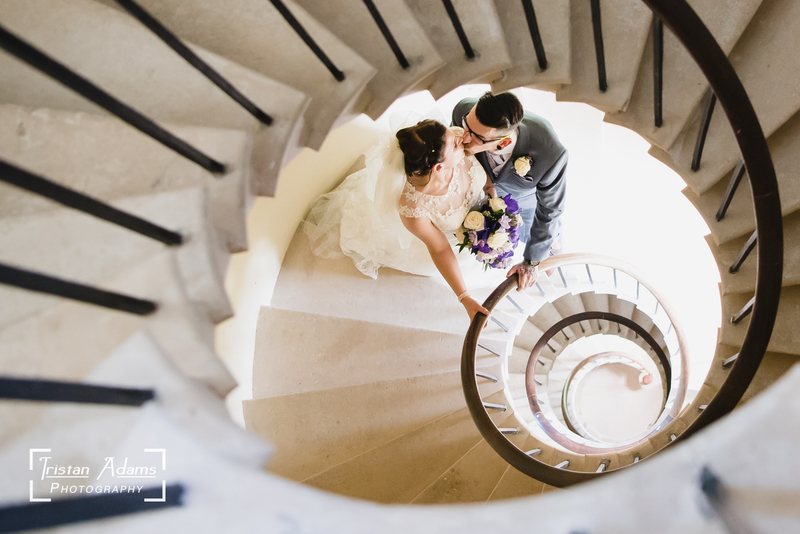 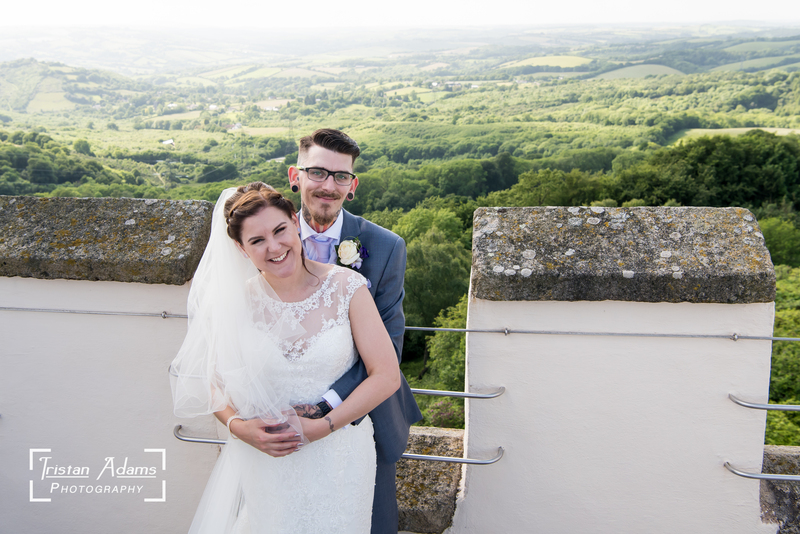 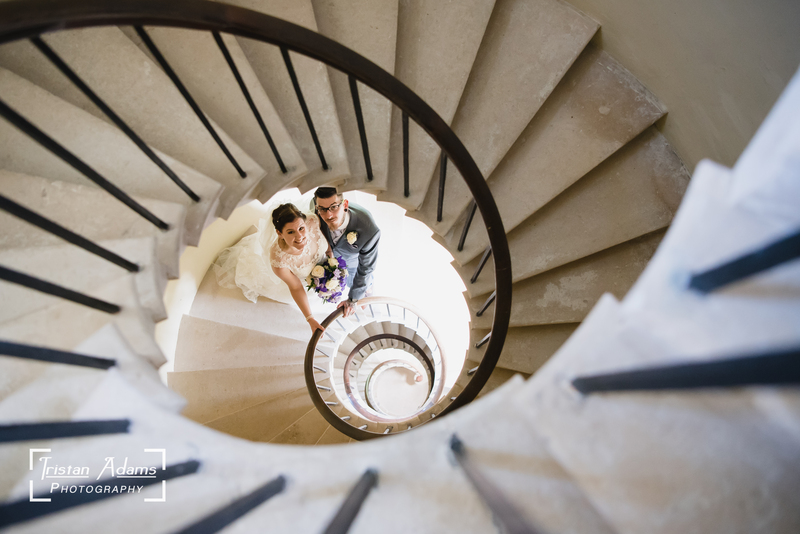 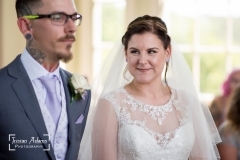 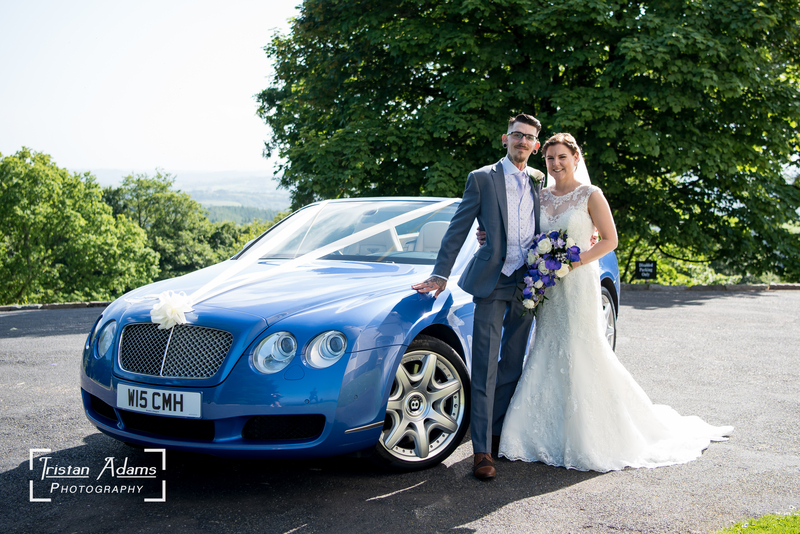 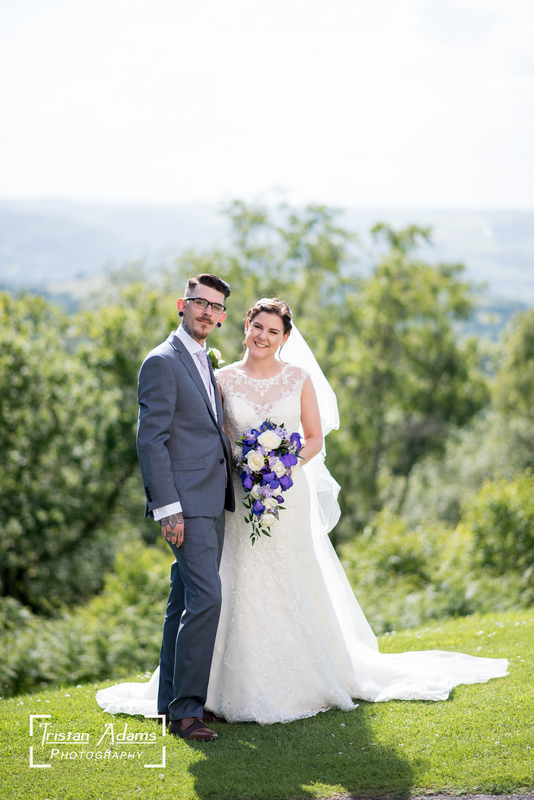 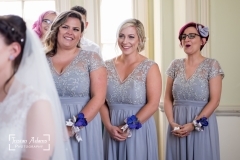 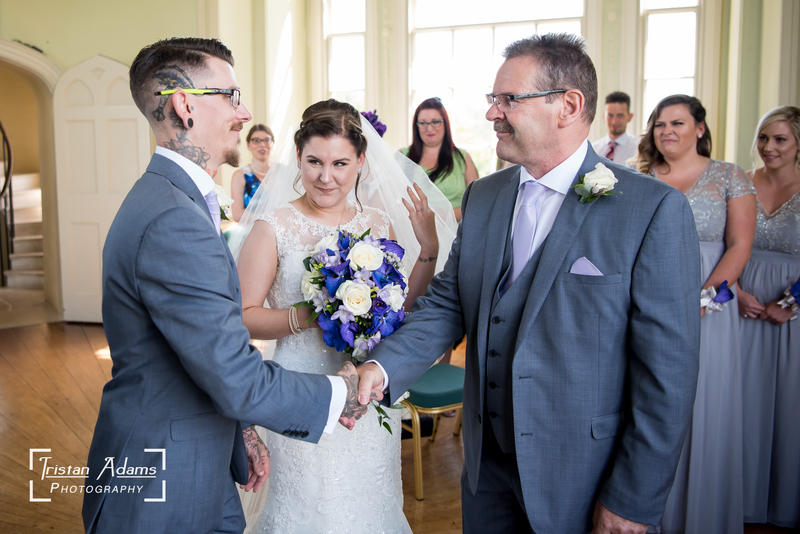 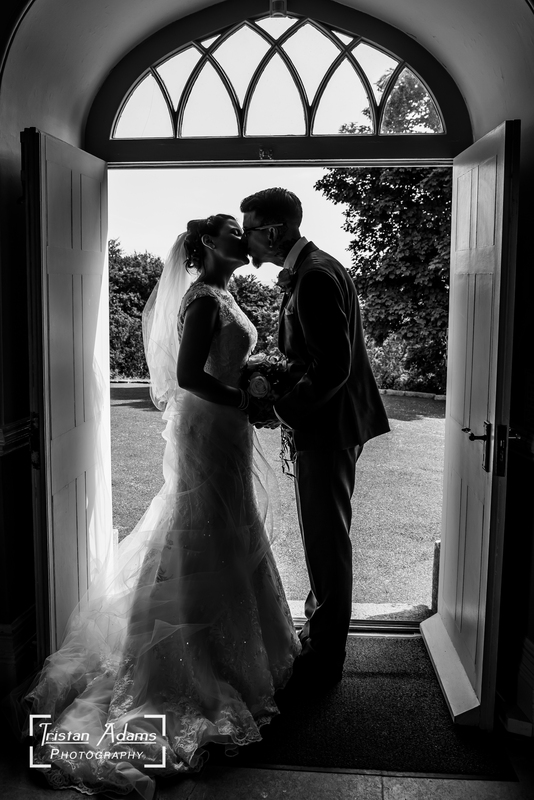 When Amy and Gareth booked me as their wedding photographer, I couldn’t wait to photograph their wedding, and I got even more excited when I found out they had chosen Haldon Belvedere as their venue. 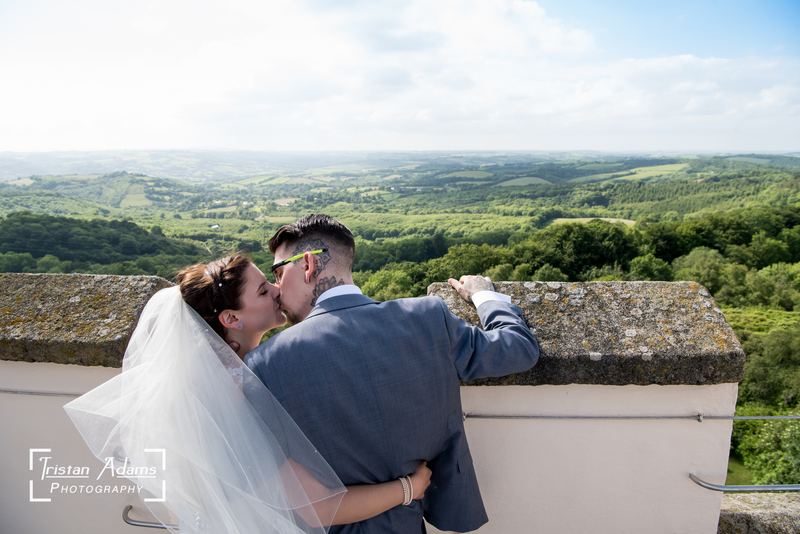 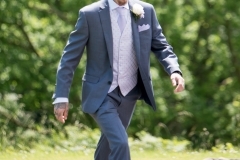 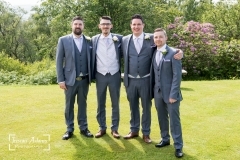 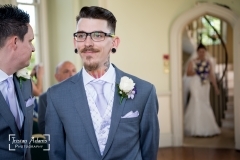 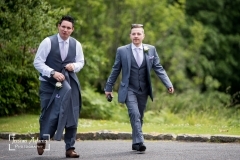 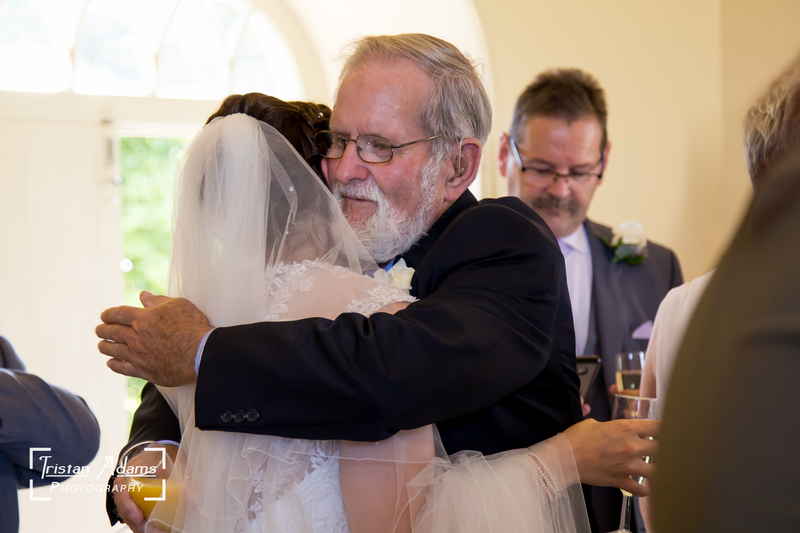 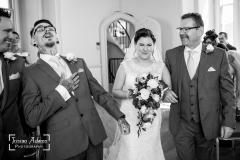 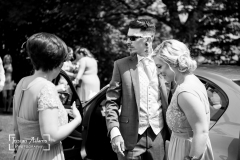 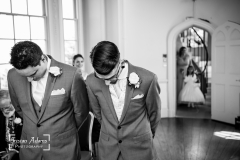 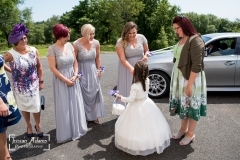 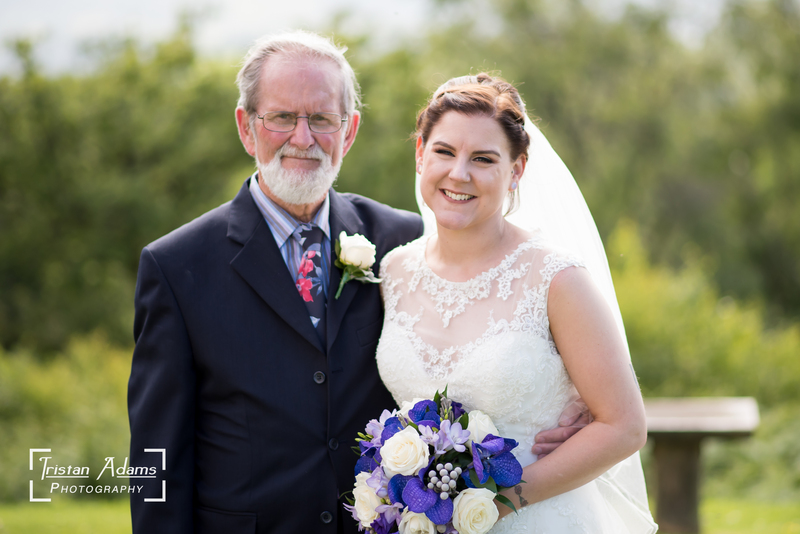 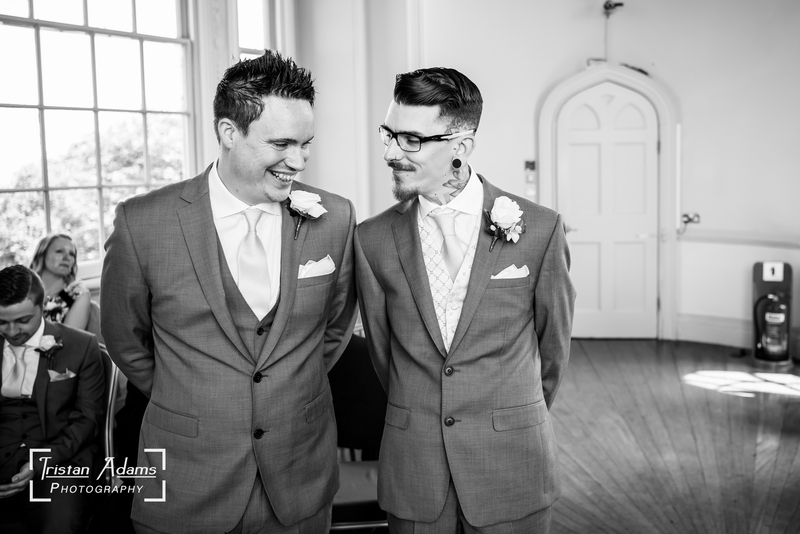 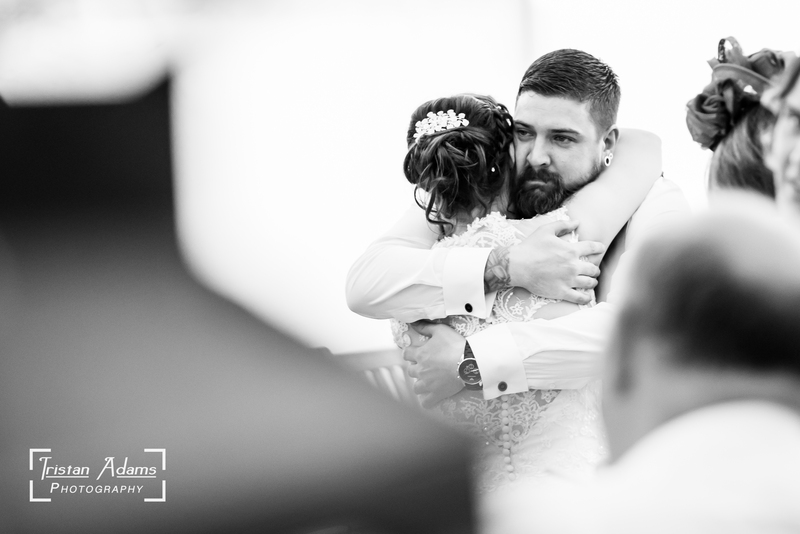 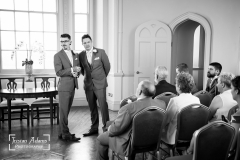 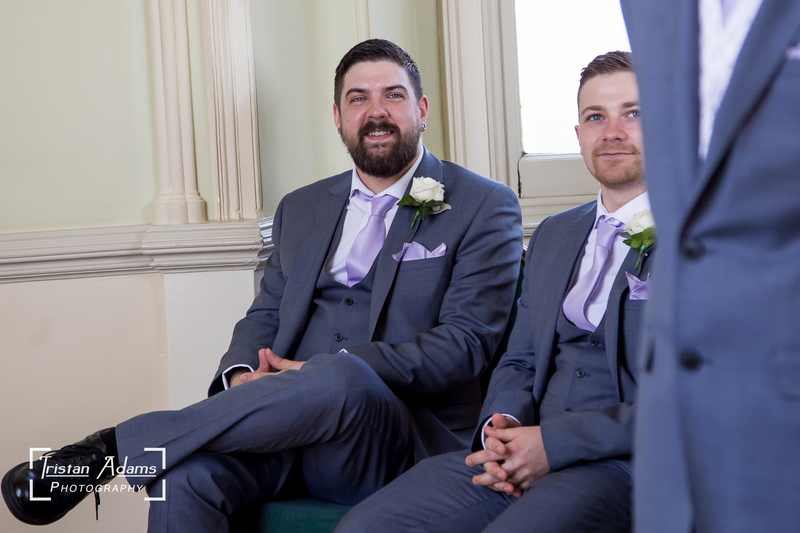 I arranged to meet up with them both at the Haldon Belvedere on the venue’s wedding fayre open day. 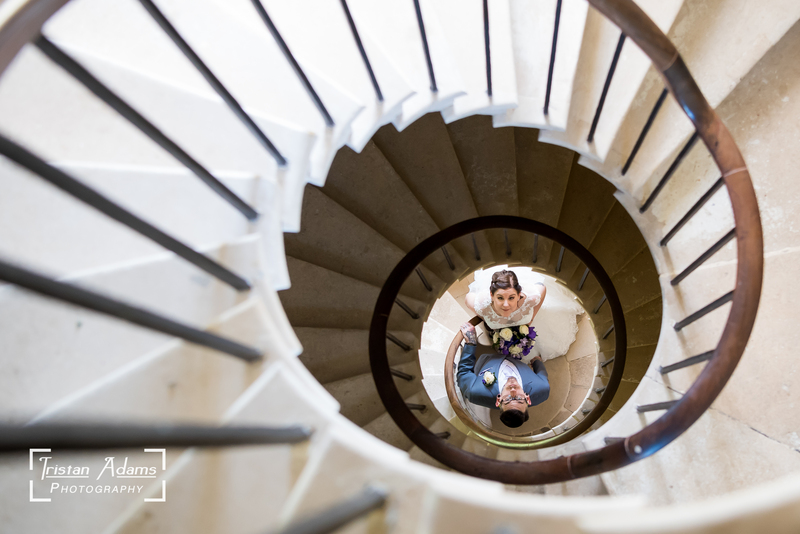 This gave me the chance to explore the castle with them and scope out the best compositions for their photos. 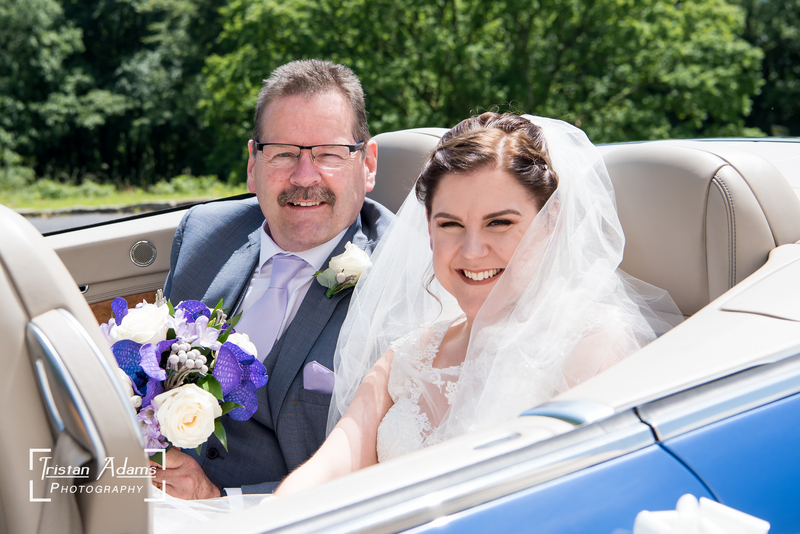 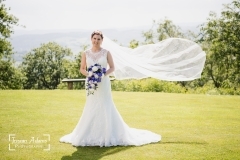 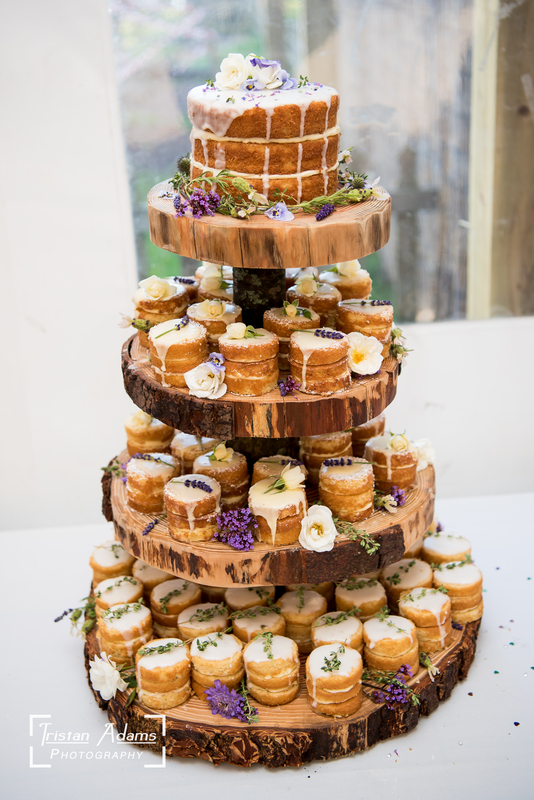 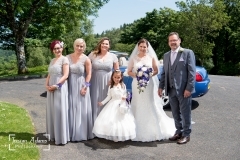 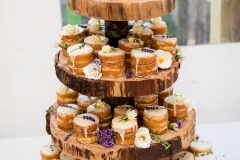 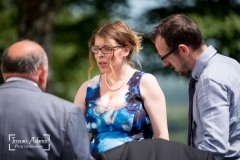 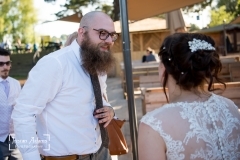 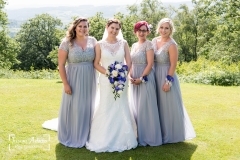 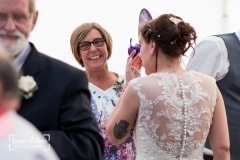 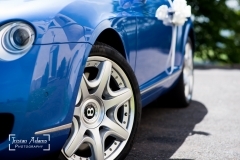 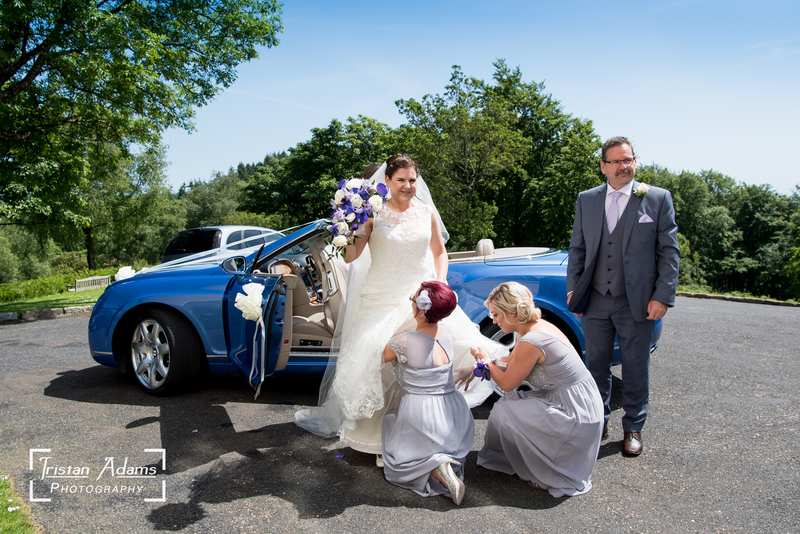 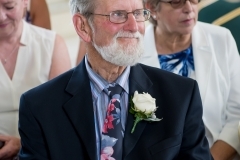 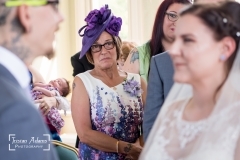 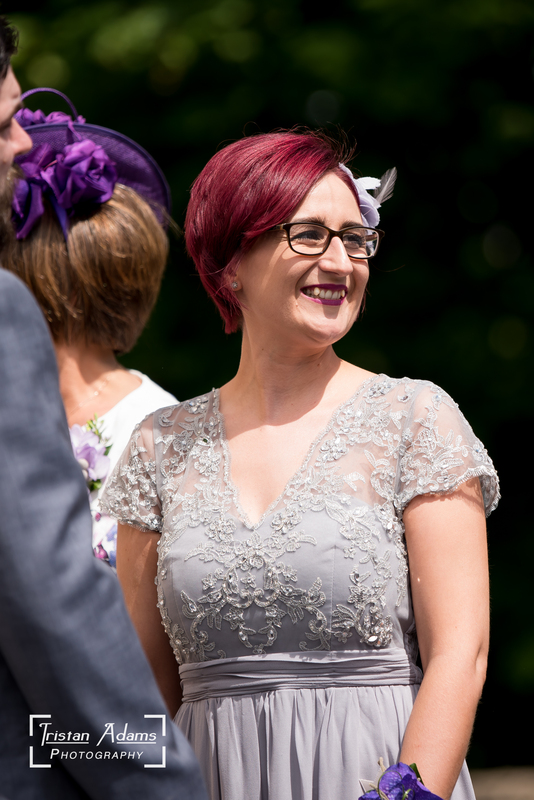 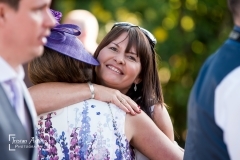 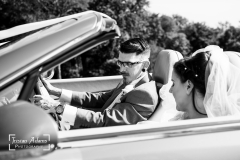 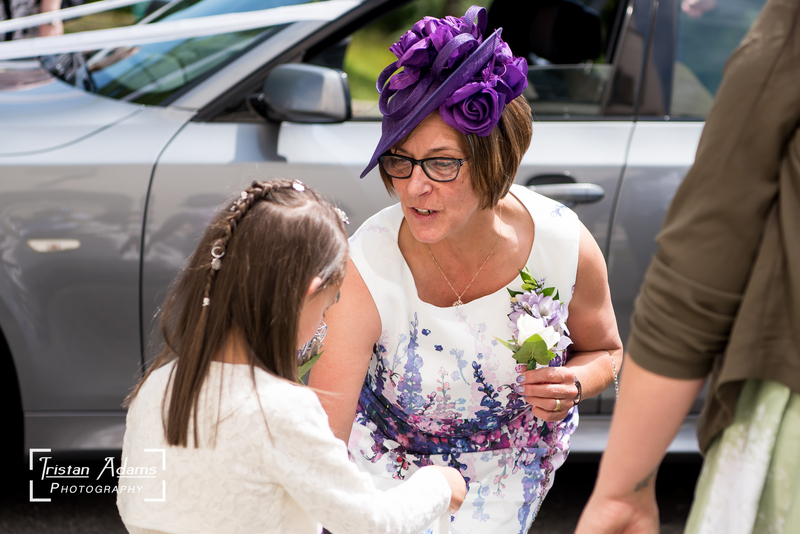 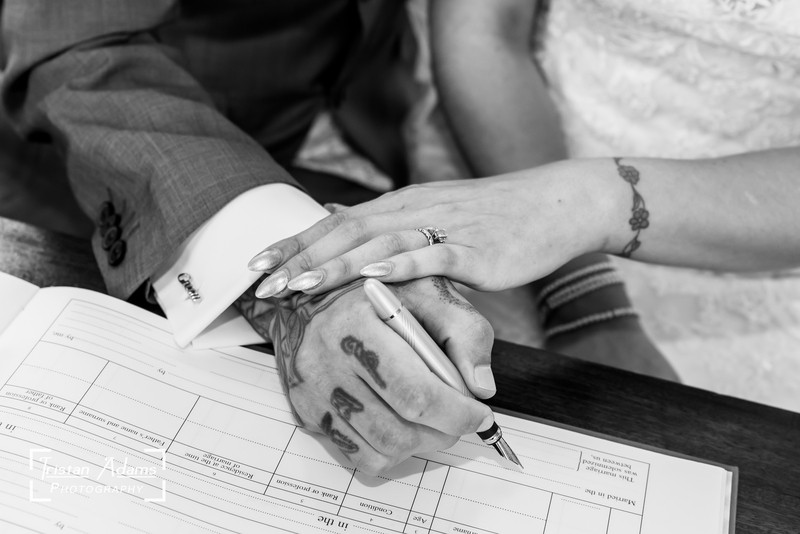 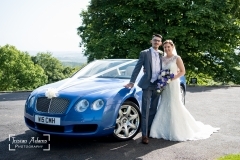 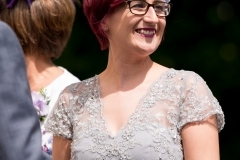 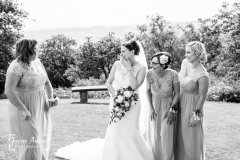 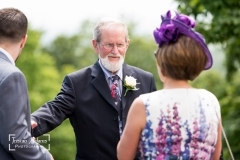 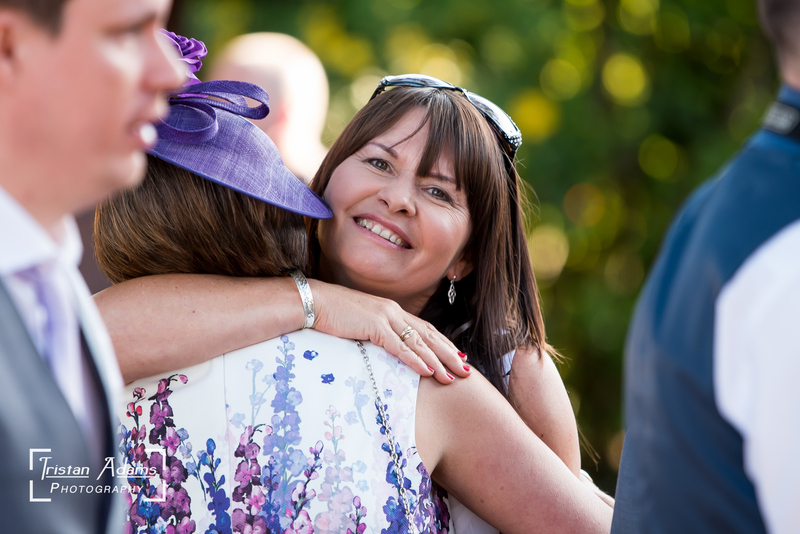 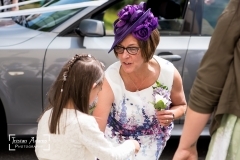 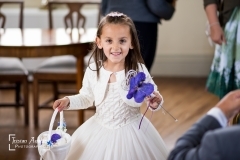 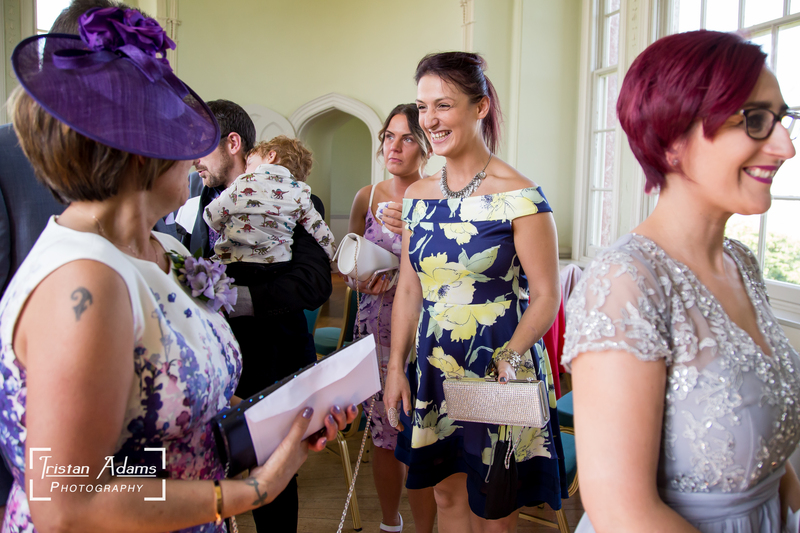 It was also great to meet Janet – Haldon Belvedere’s wedding planner. 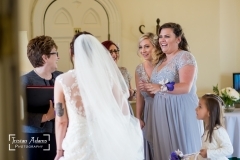 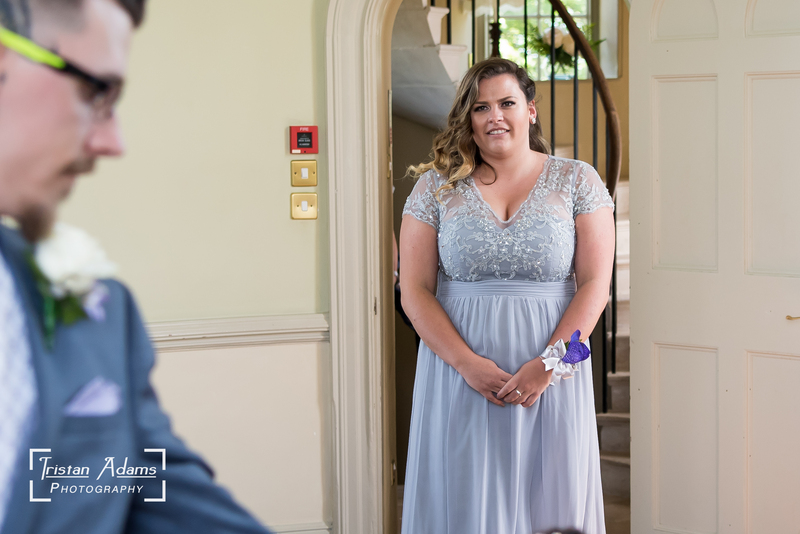 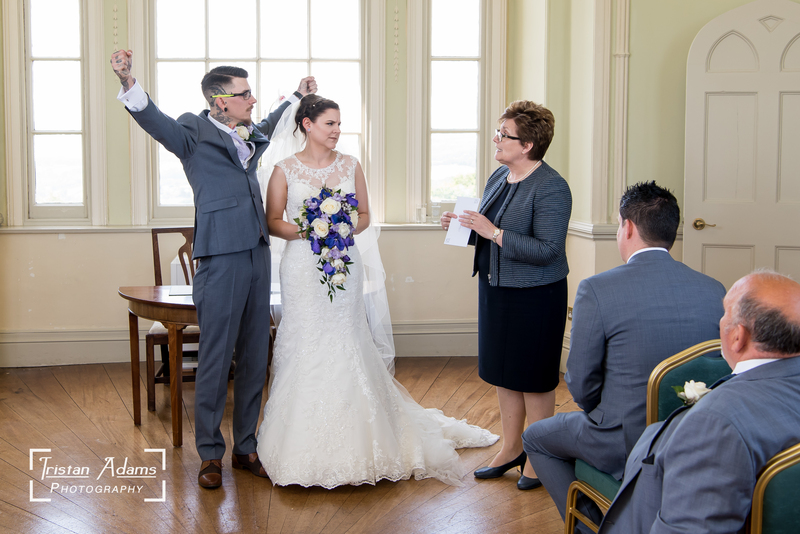 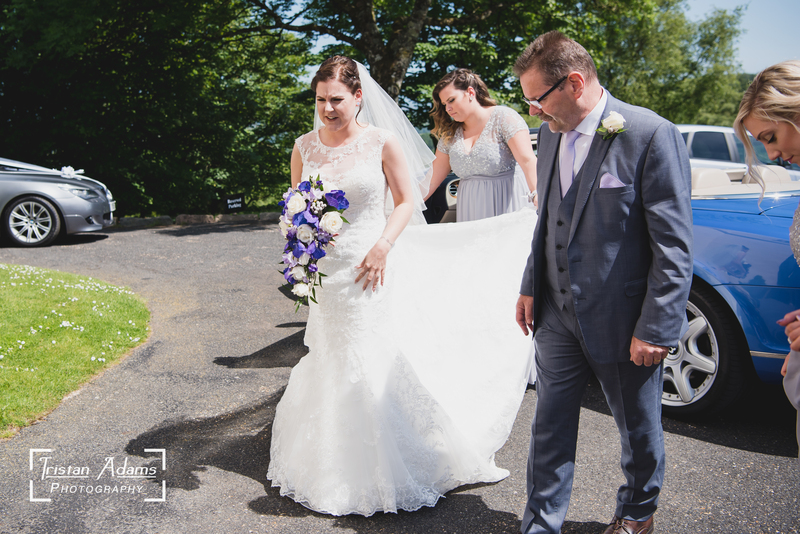 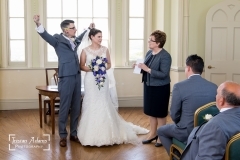 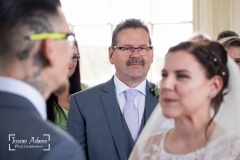 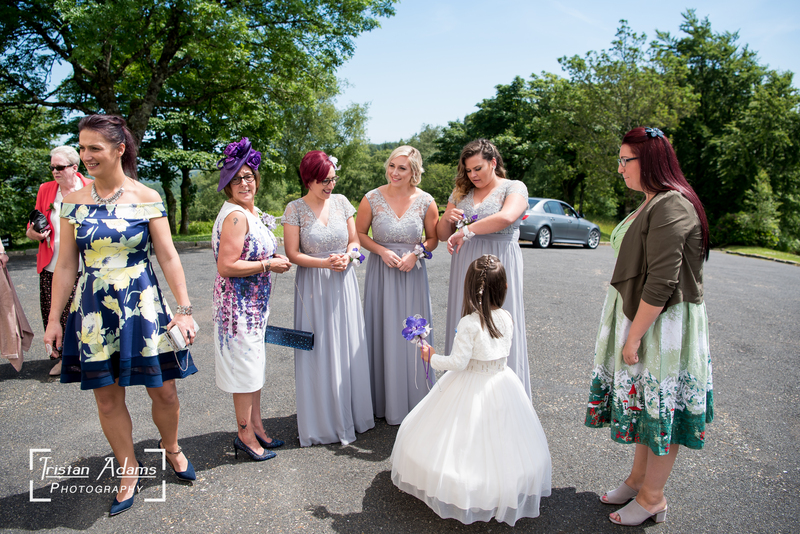 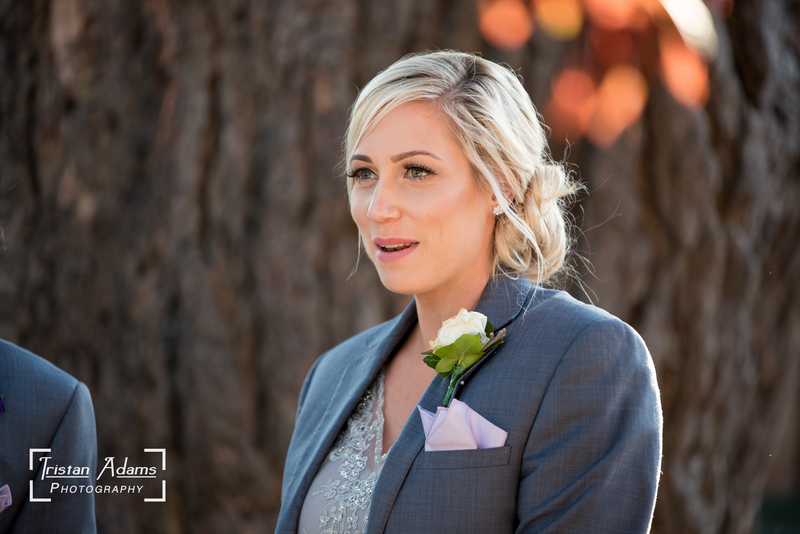 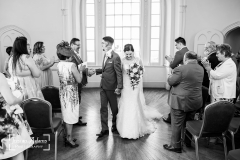 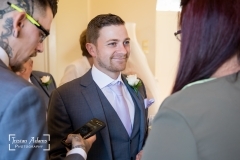 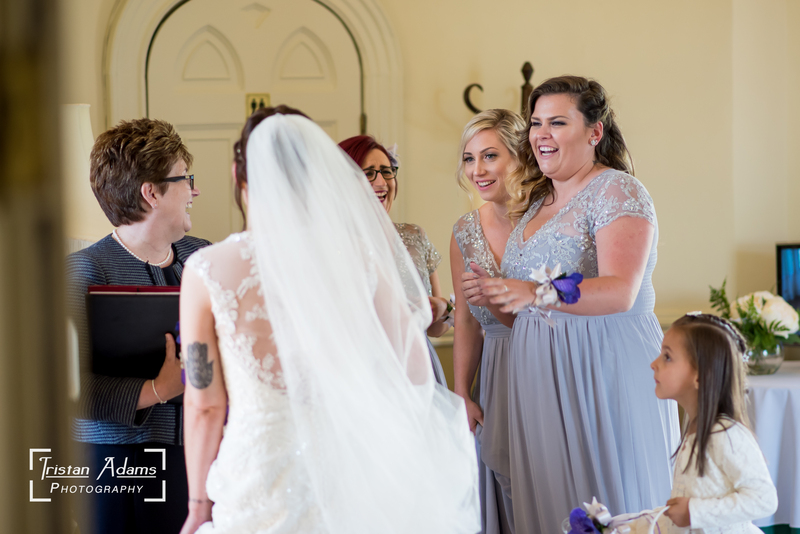 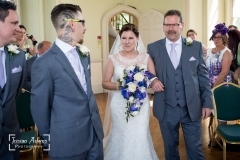 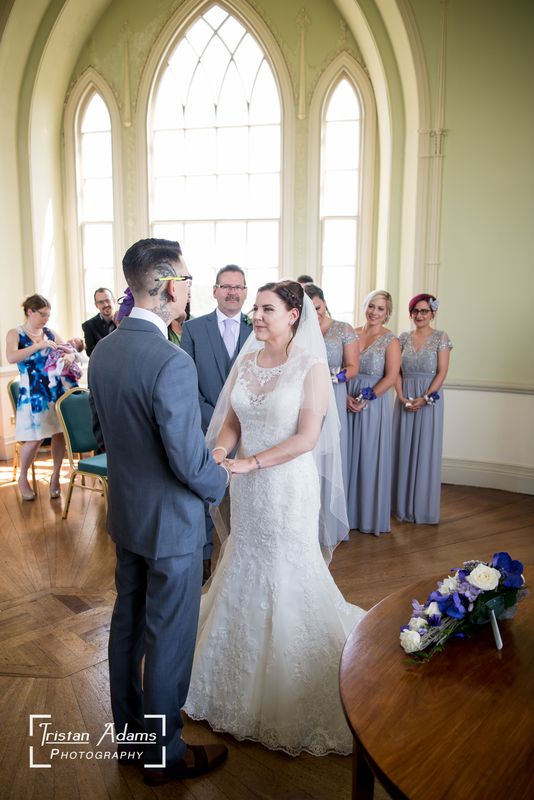 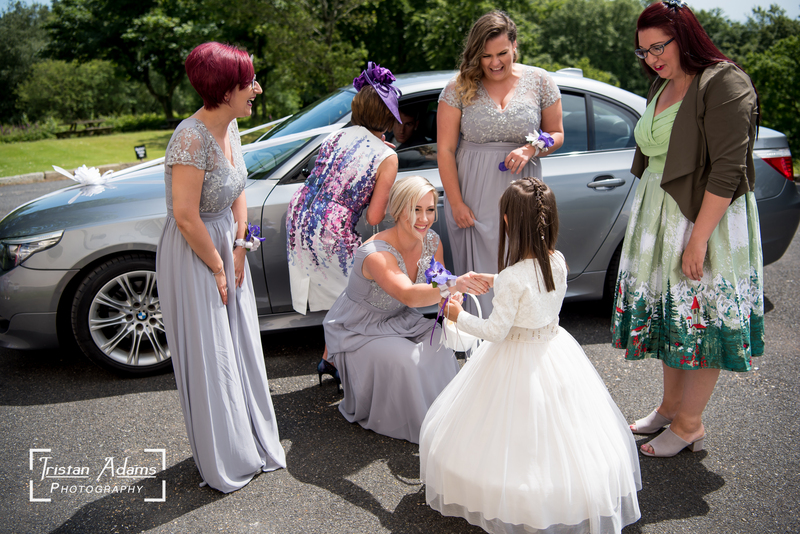 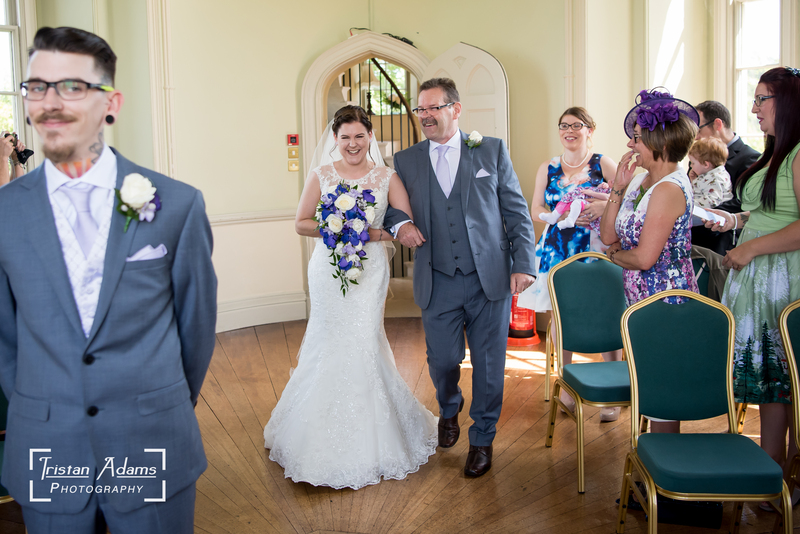 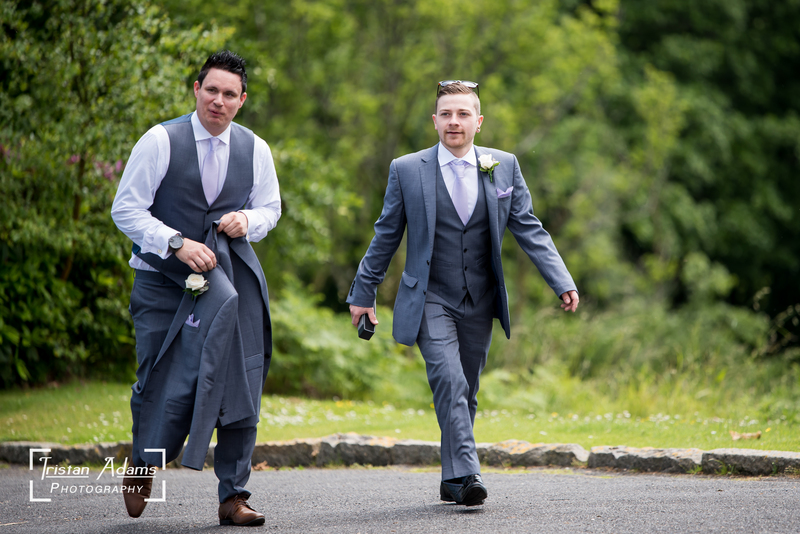 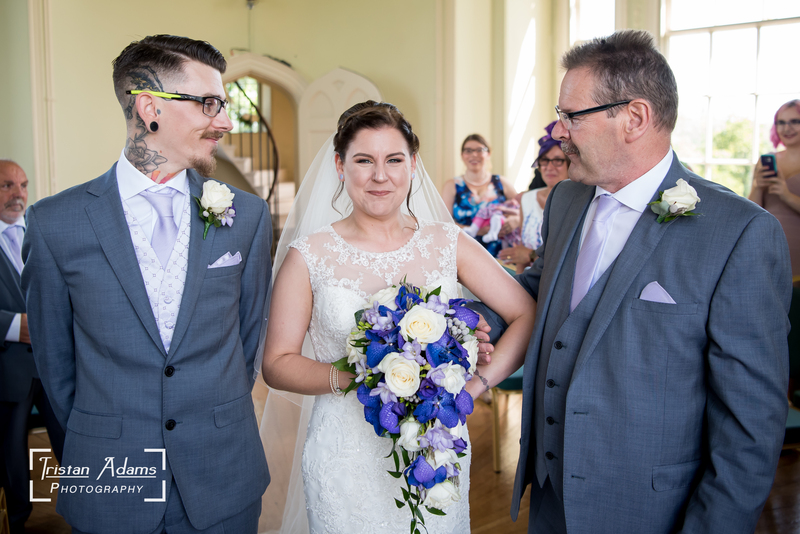 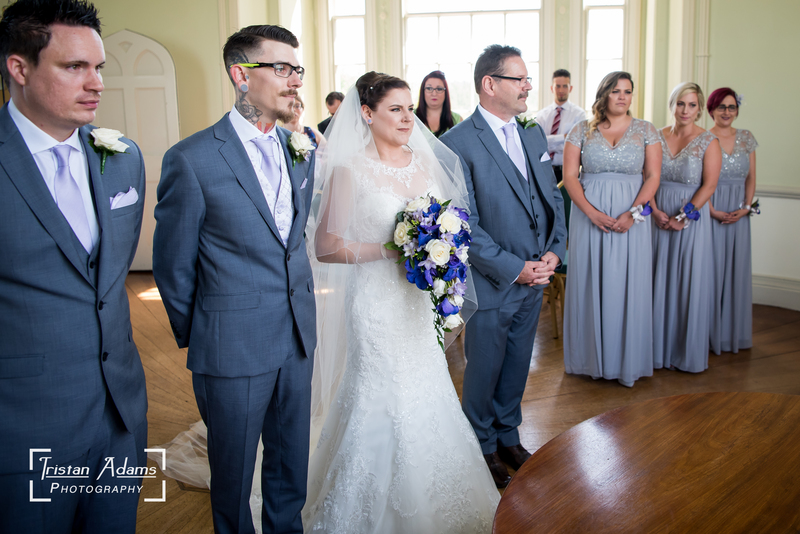 On the big day, Janet ensured timings ran smoothly and was very helpful, allowing myself, Amy and Gareth plenty of time after the ceremony to explore the castle and capture our desired couples shots. 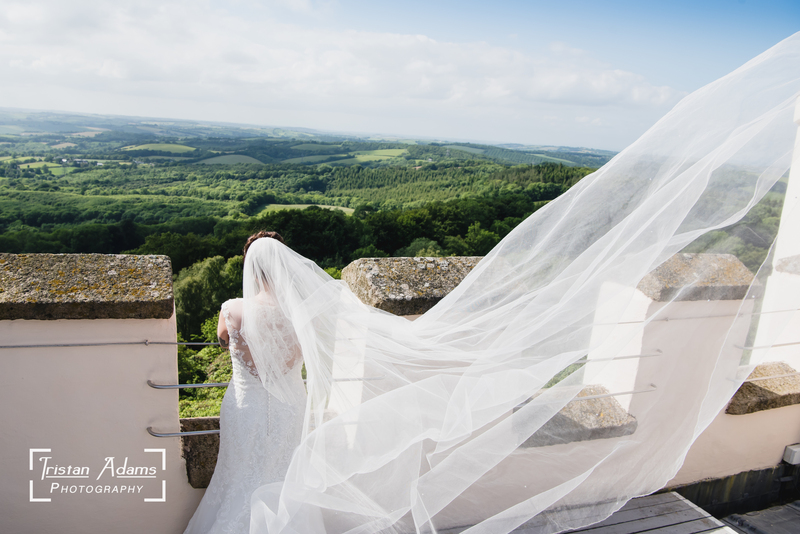 The views are absolutely stunning from the rooftop of Haldon Belvedere, and on a clear day you can see for miles into the distance. 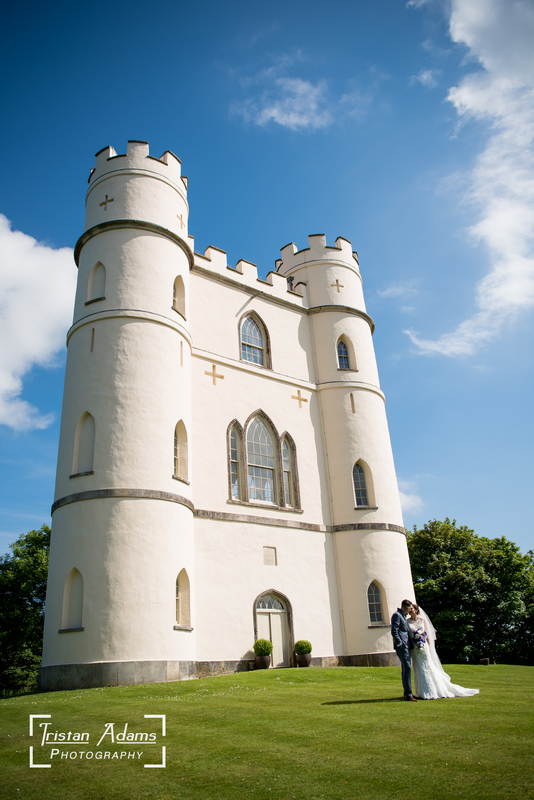 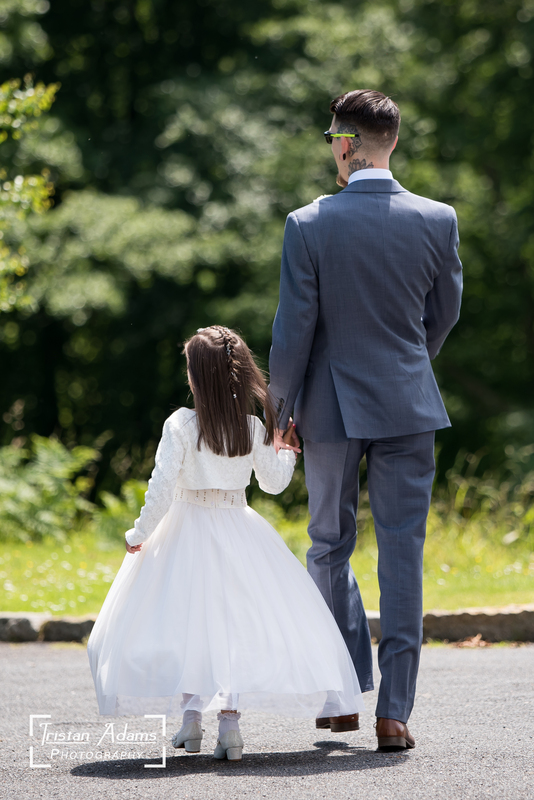 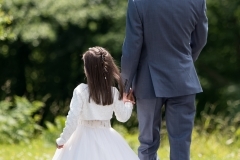 Haldon Belvedere is secluded from the rest of the forest, allowing a sense of privacy and peacefulness on your wedding day. 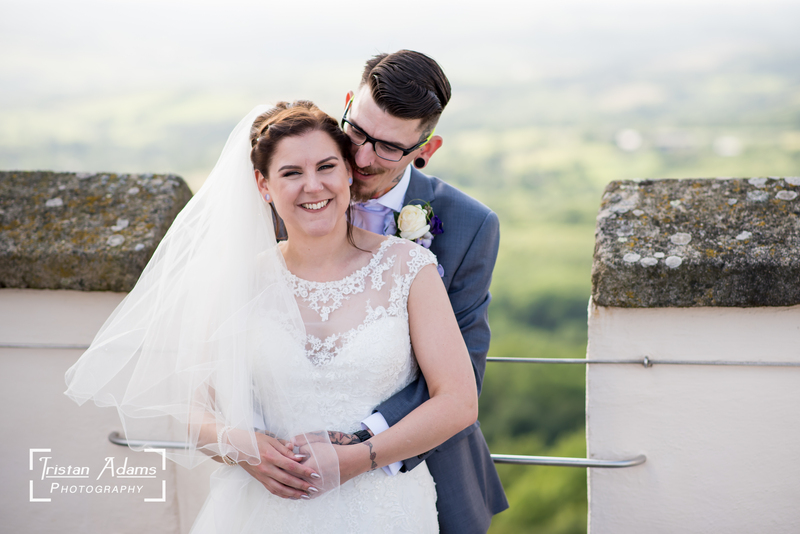 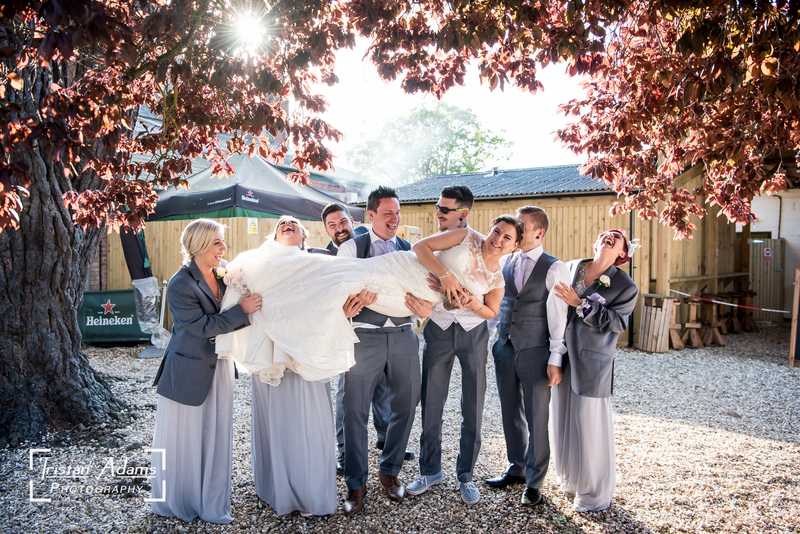 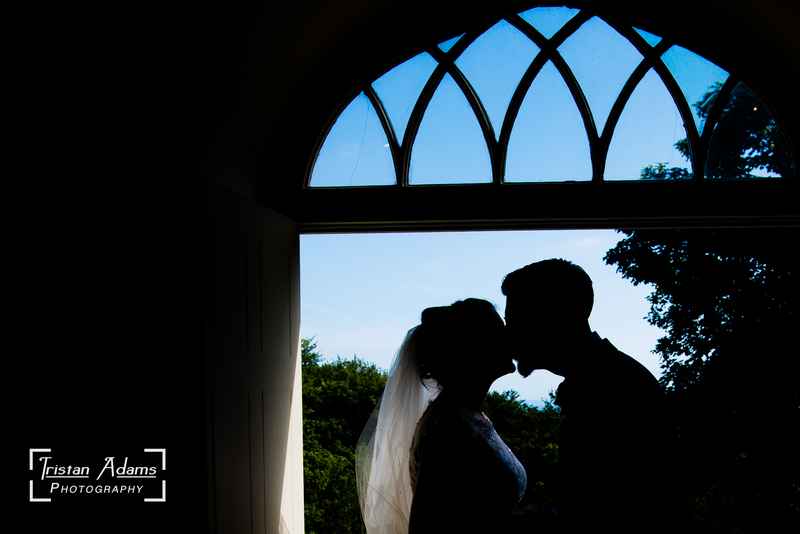 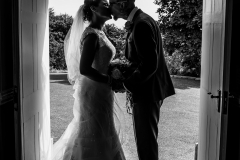 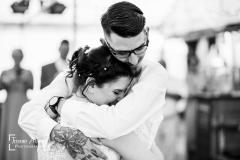 Amy and Gareth were an amazing and fun couple to work with. 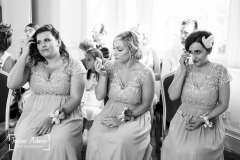 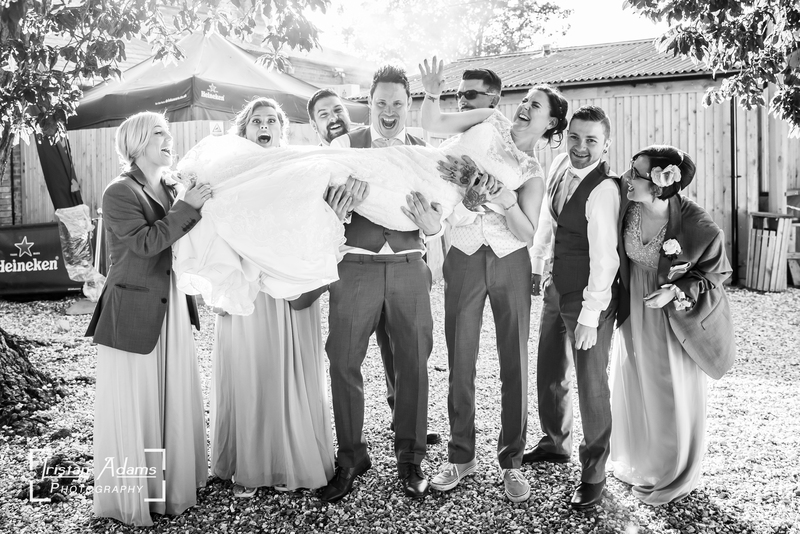 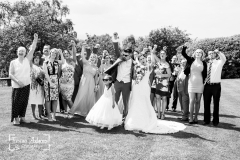 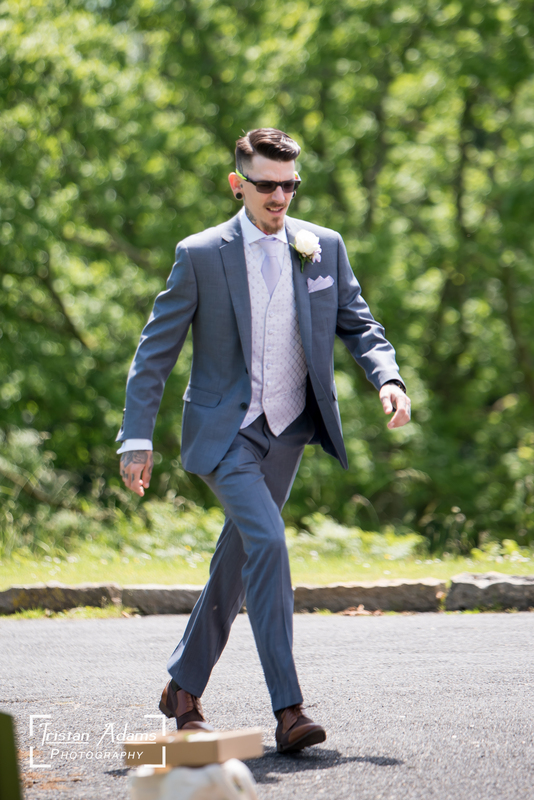 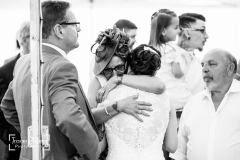 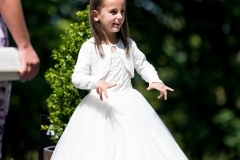 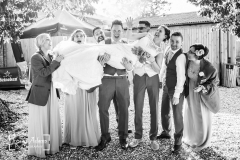 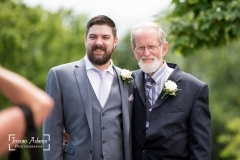 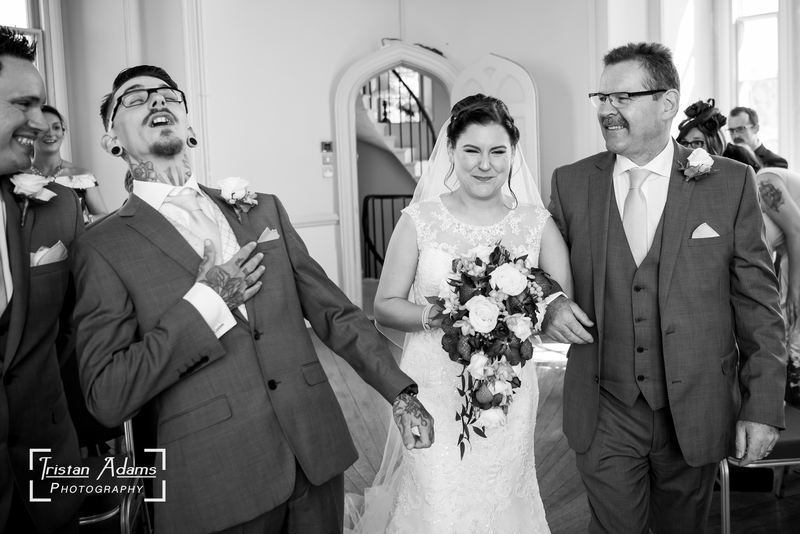 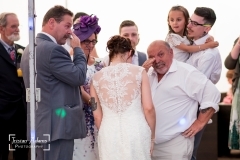 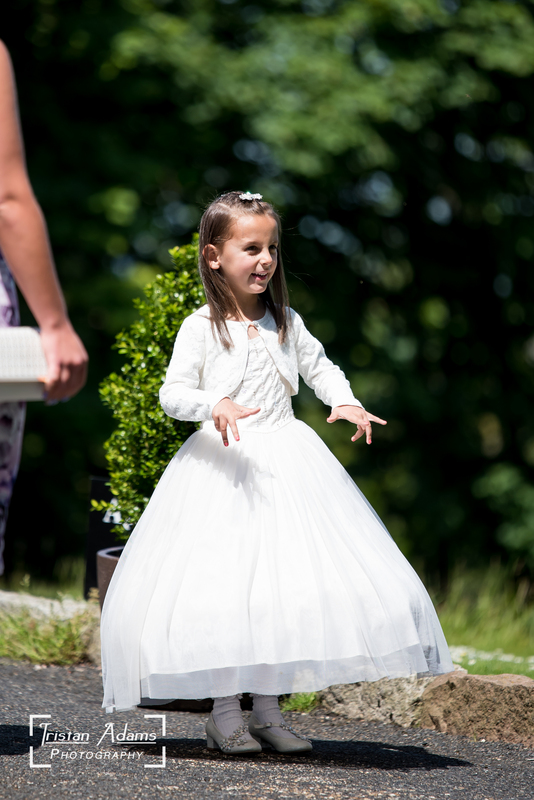 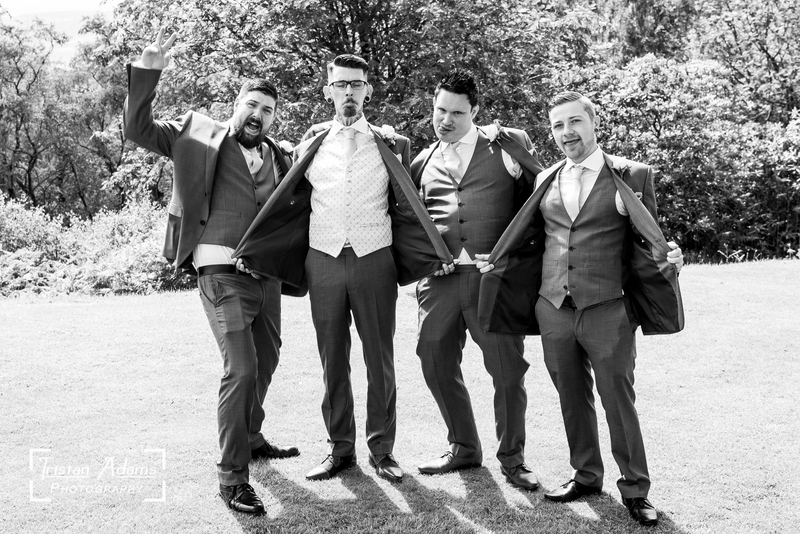 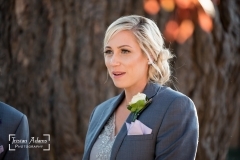 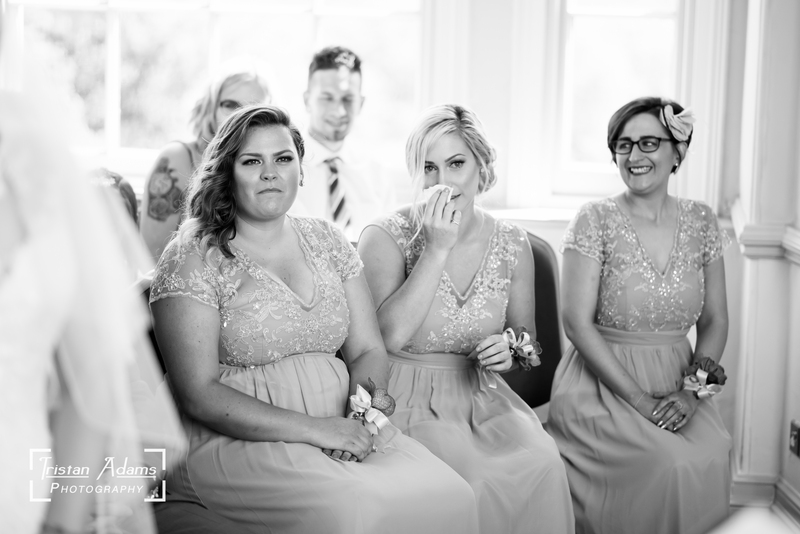 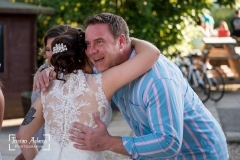 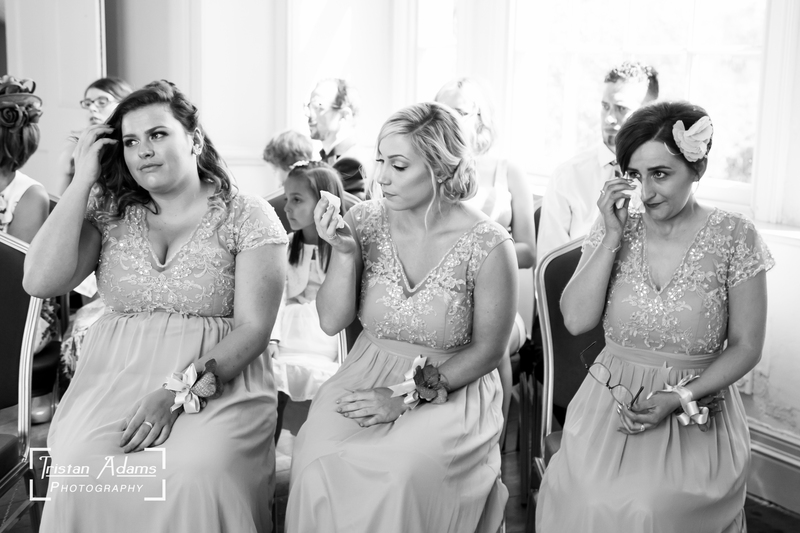 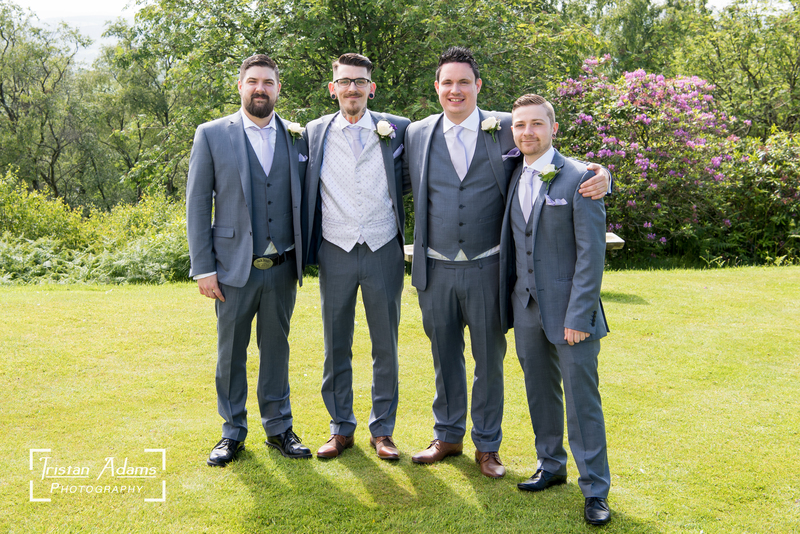 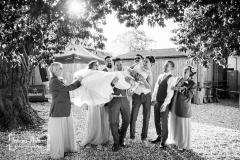 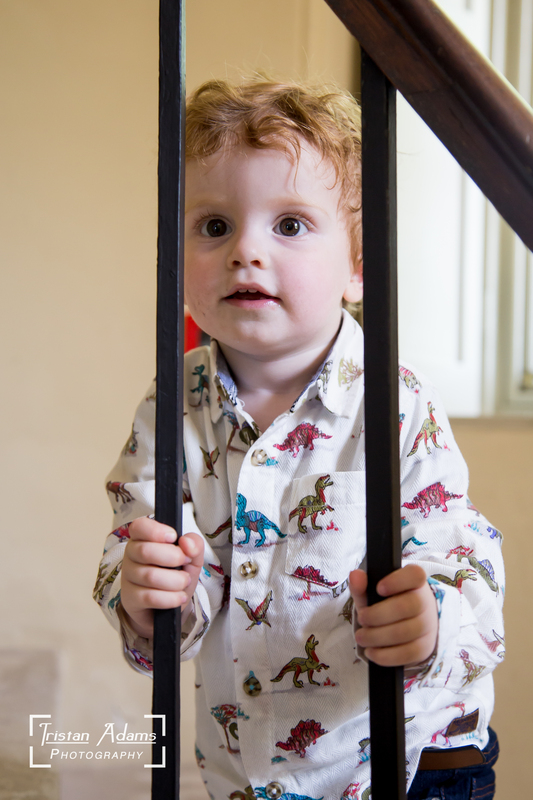 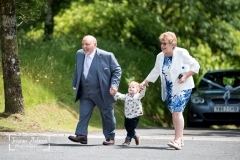 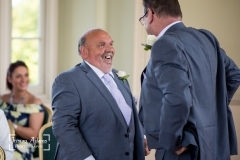 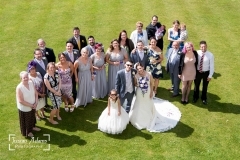 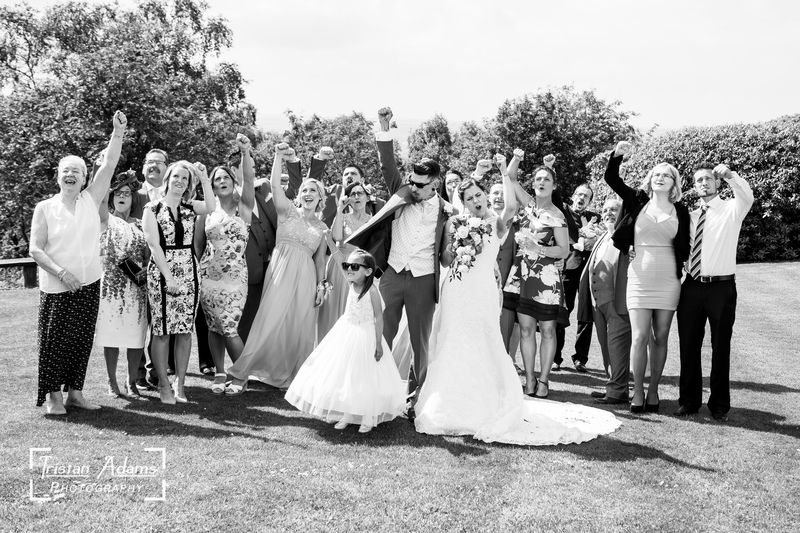 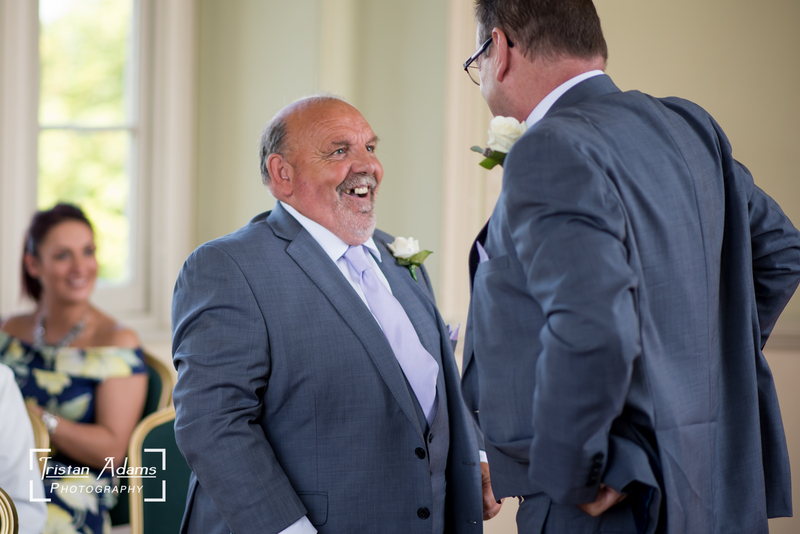 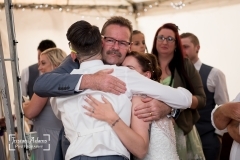 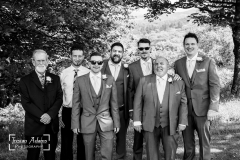 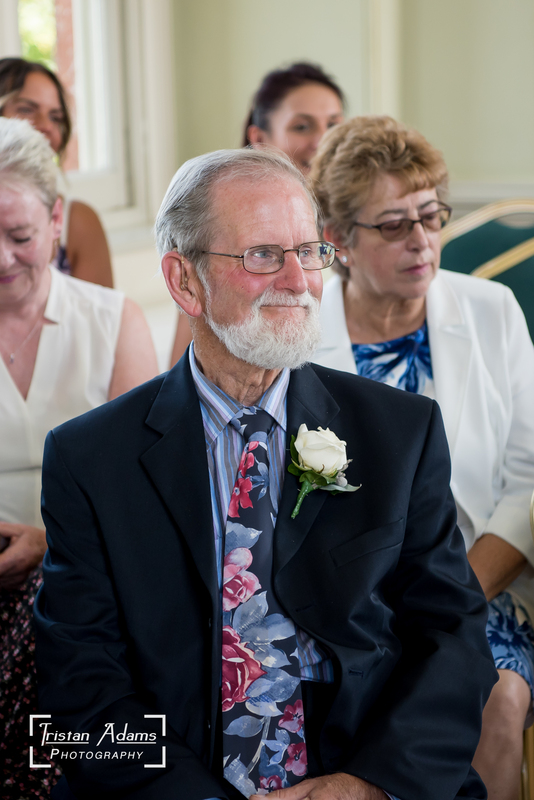 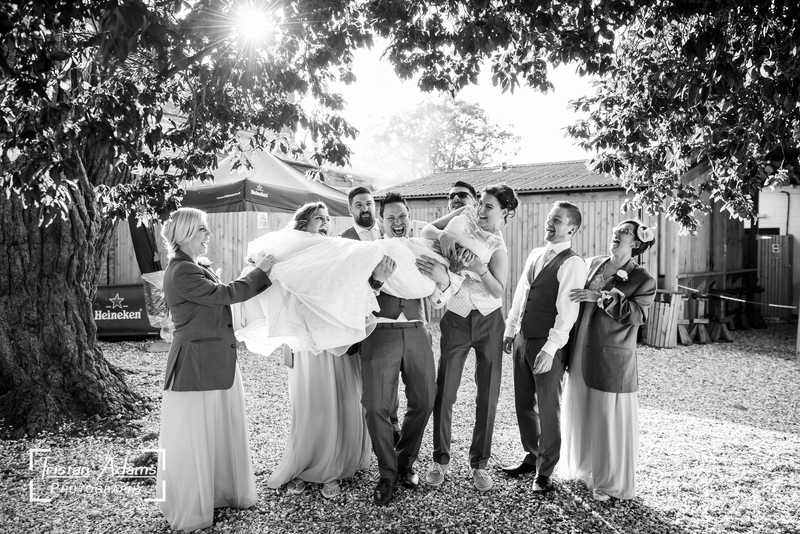 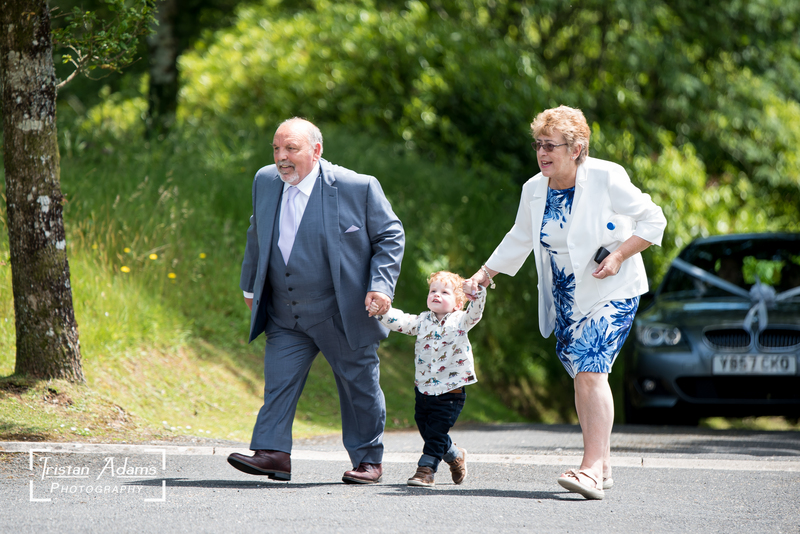 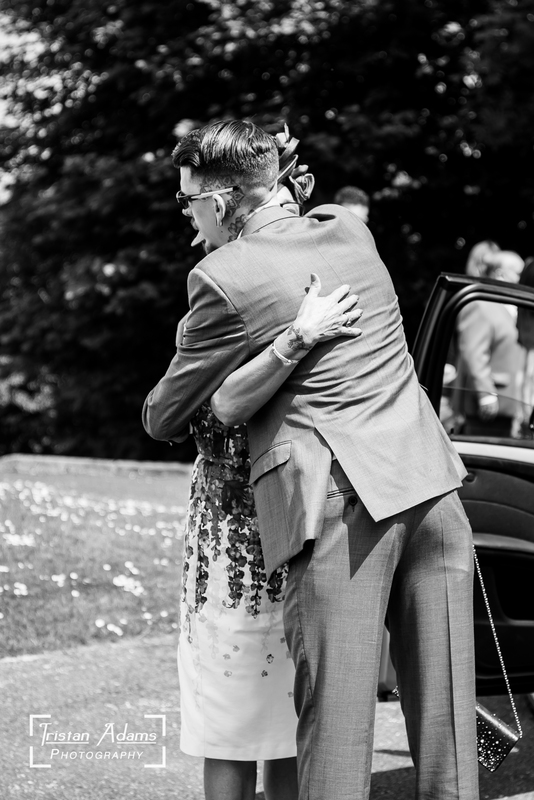 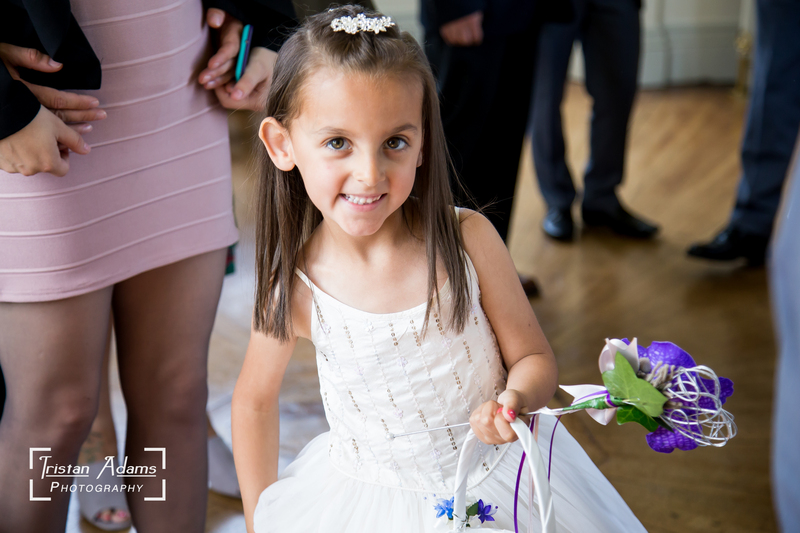 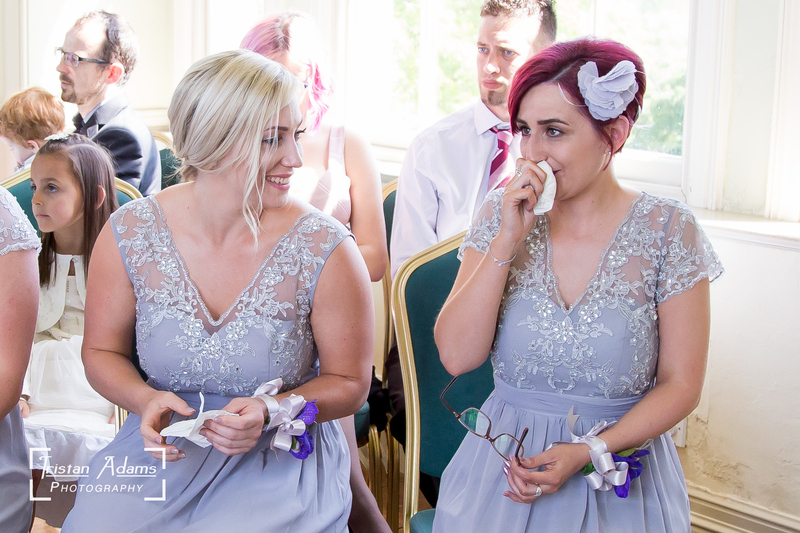 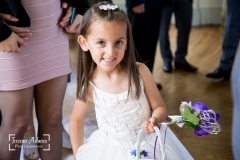 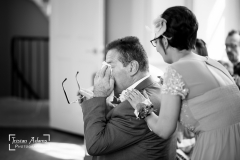 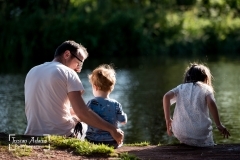 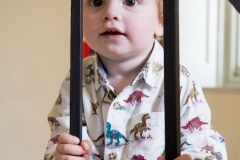 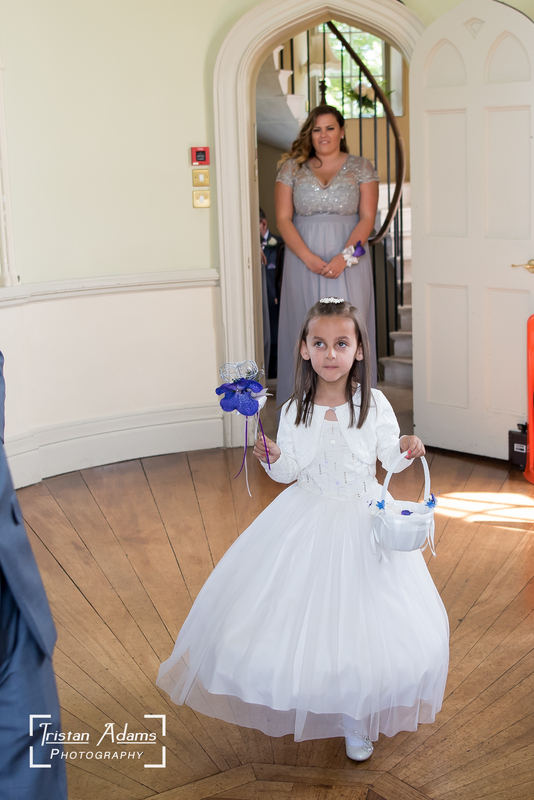 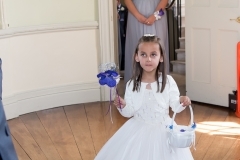 As well as capturing the essential traditional family photos, we captured many hilarious, joyous and spontaneous moments throughout the day too. 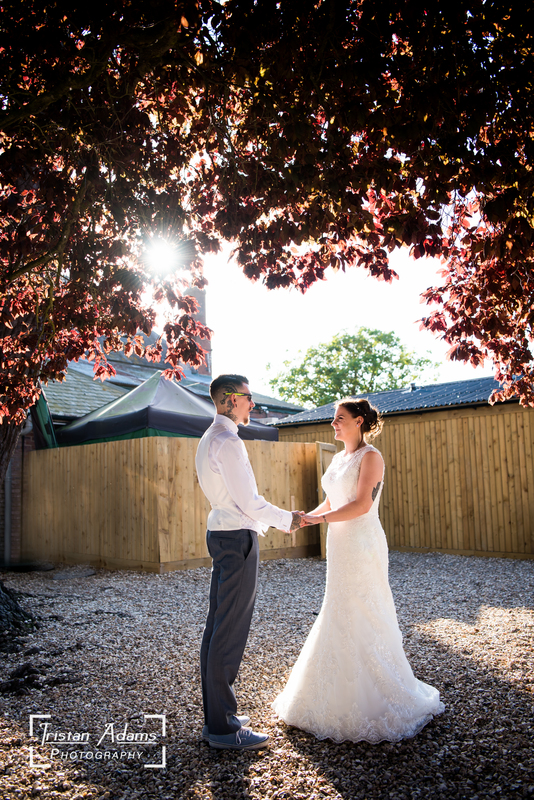 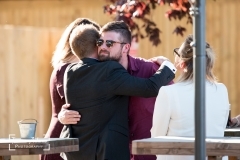 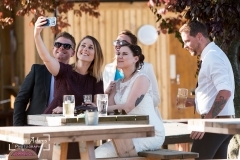 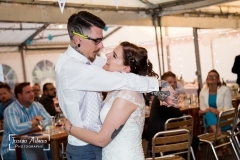 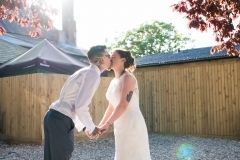 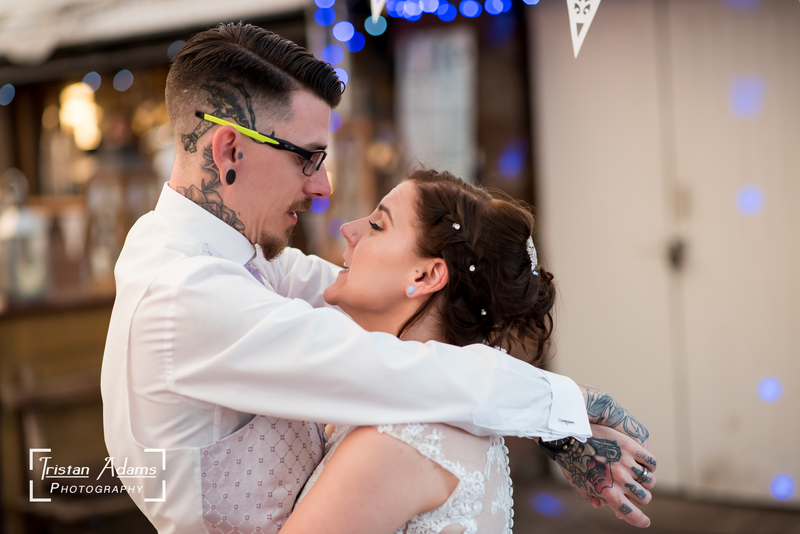 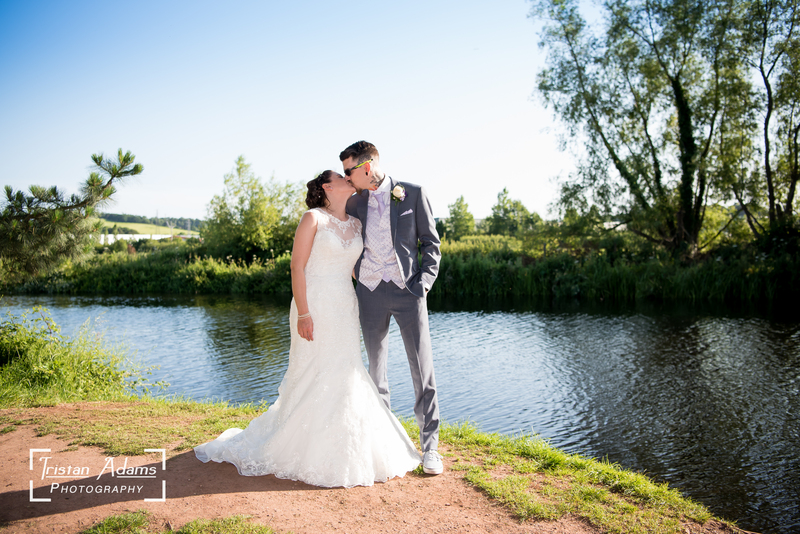 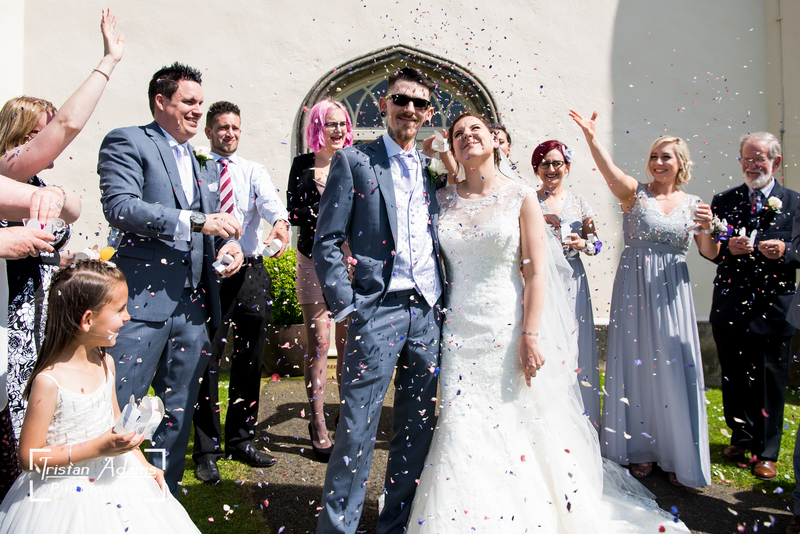 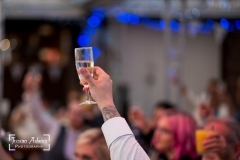 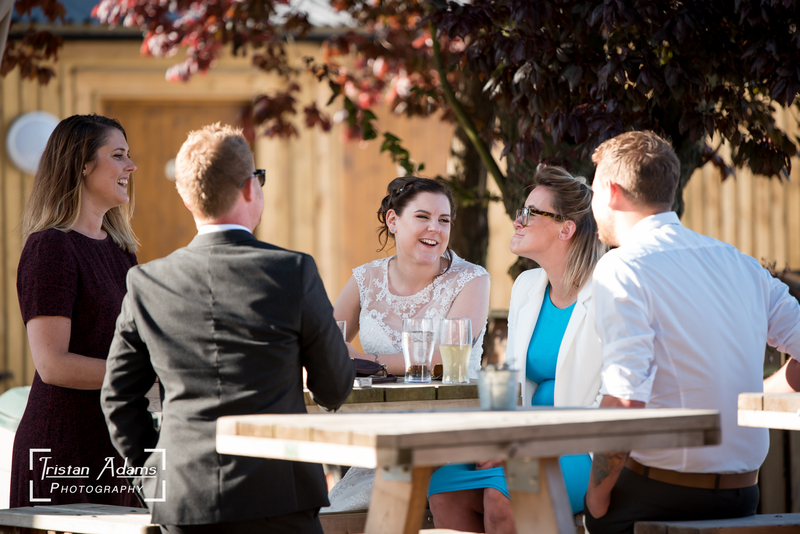 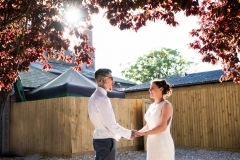 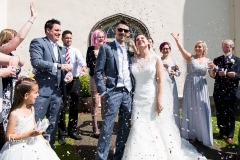 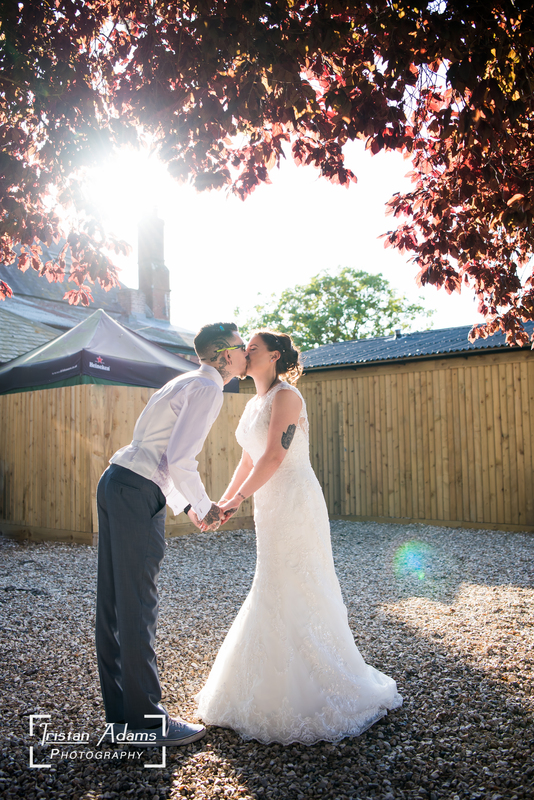 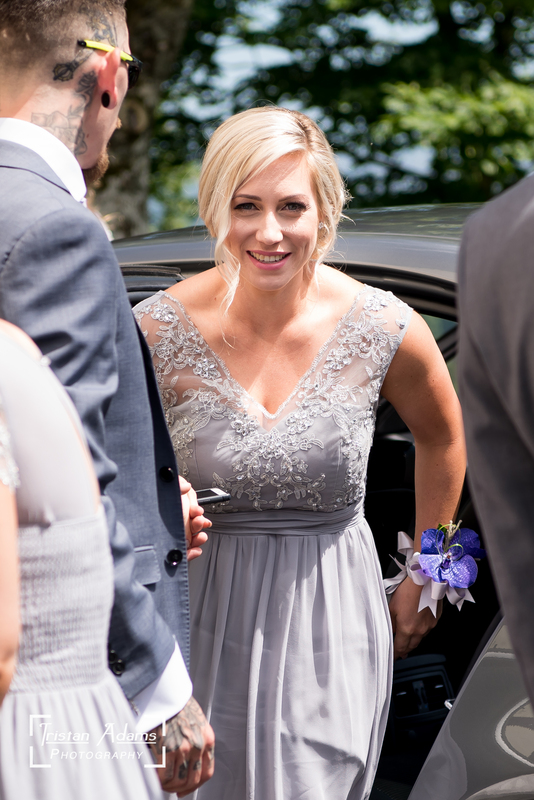 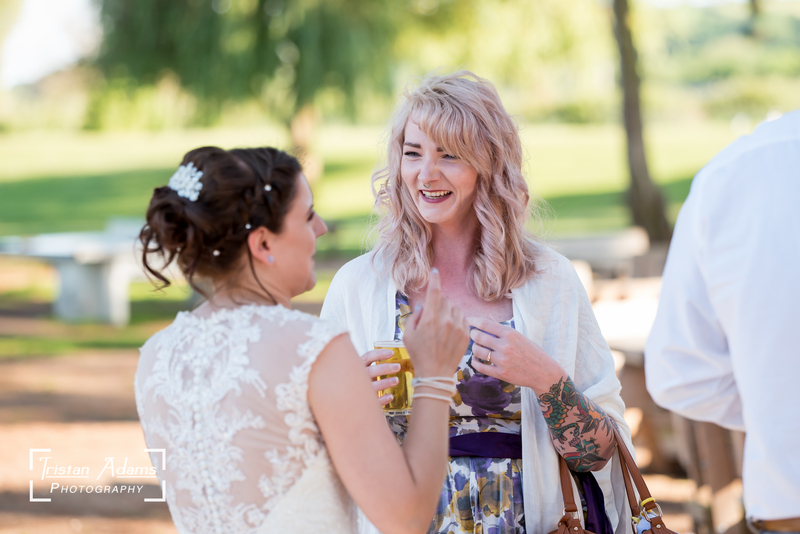 After the beautiful castle ceremony, Amy and Gareth had booked a marquee at the Double Locks in Exeter for their evening party celebrations. 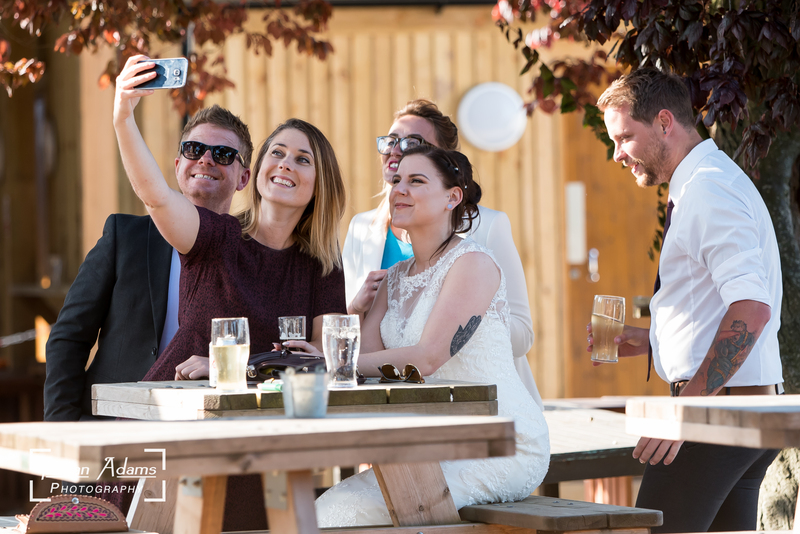 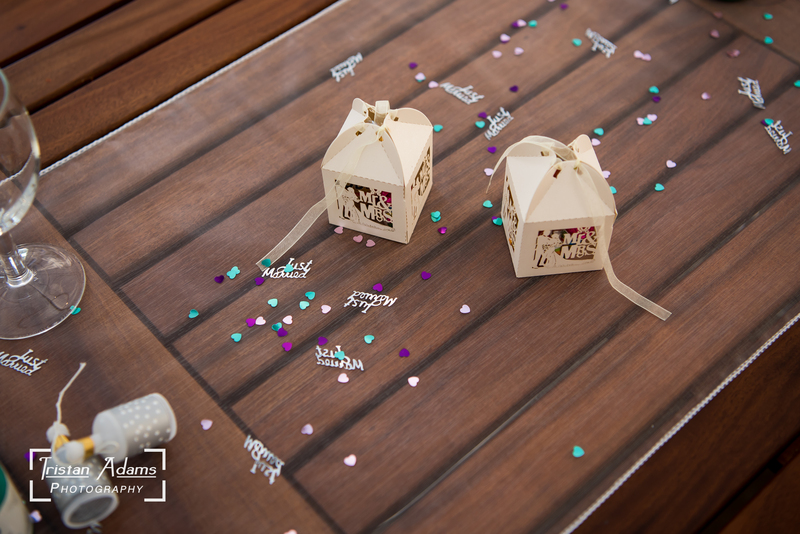 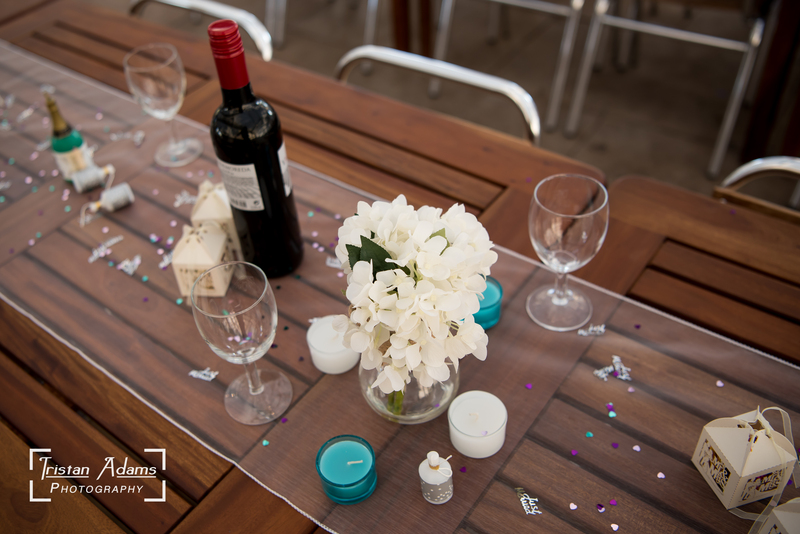 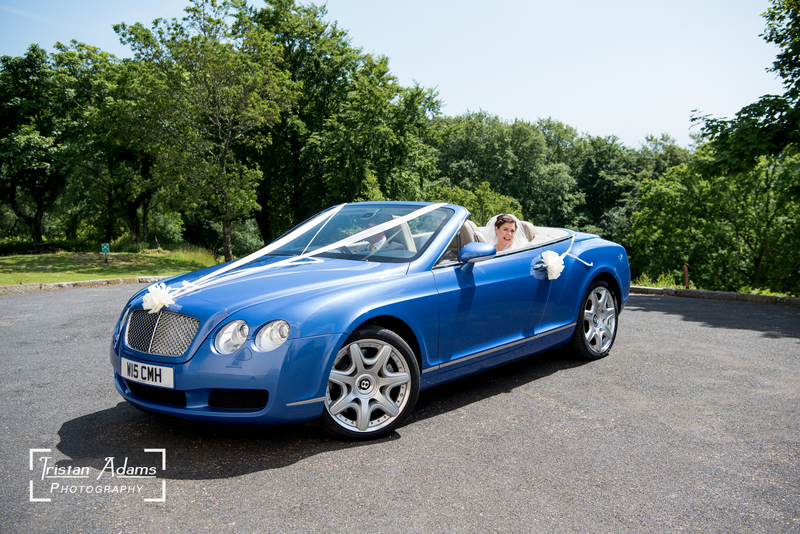 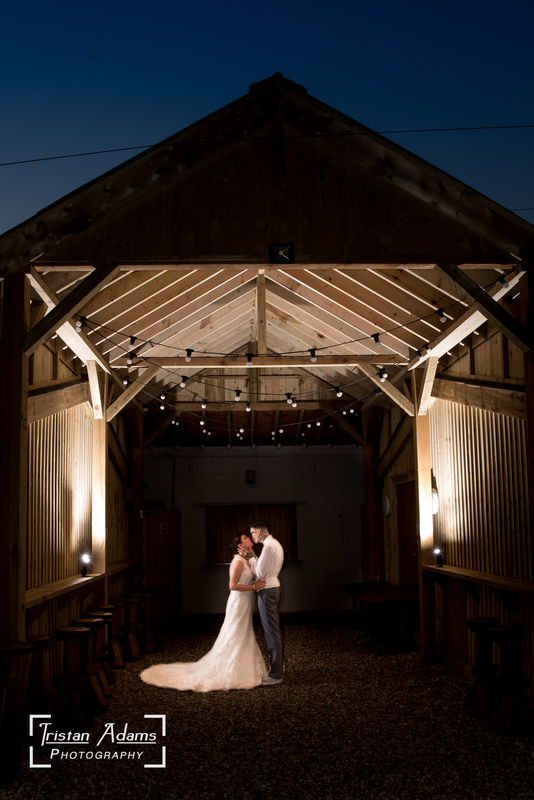 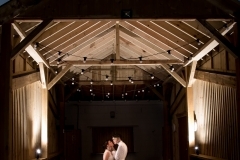 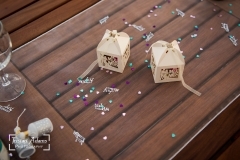 This allowed us to capture some photos beside the canal and enjoy the beautifully decorated specialised wedding marquee.